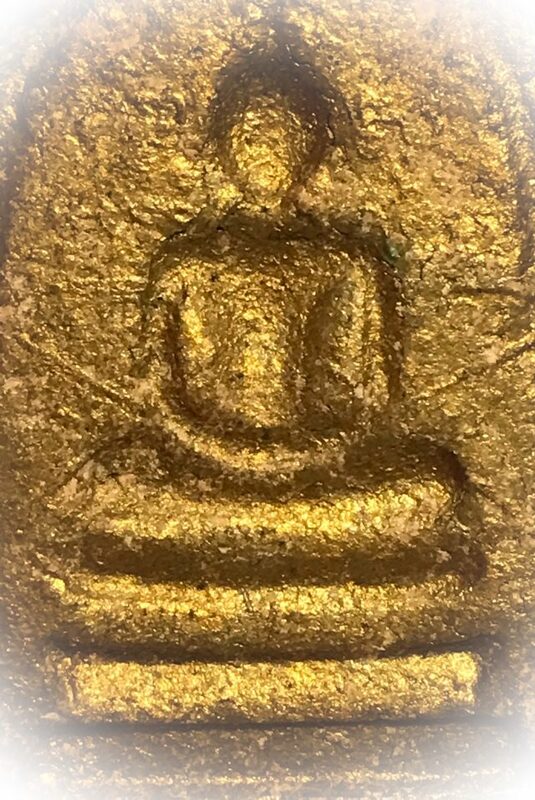 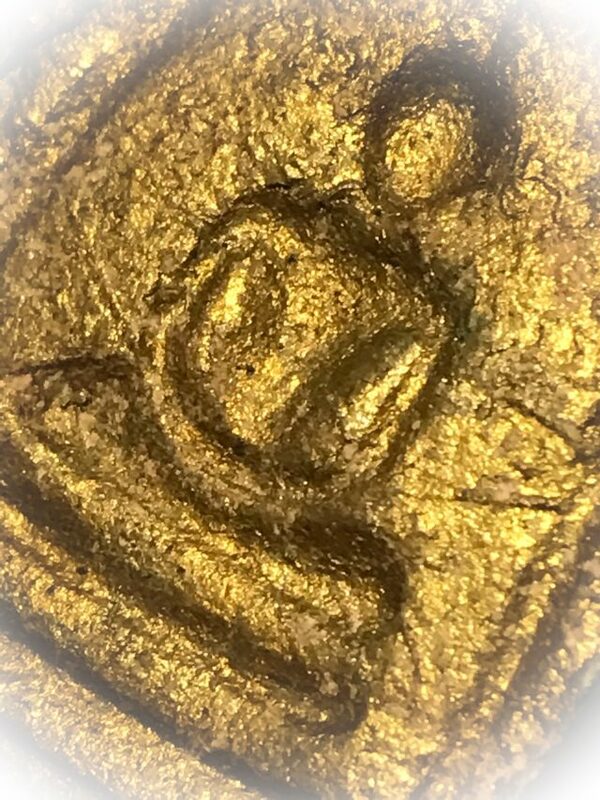 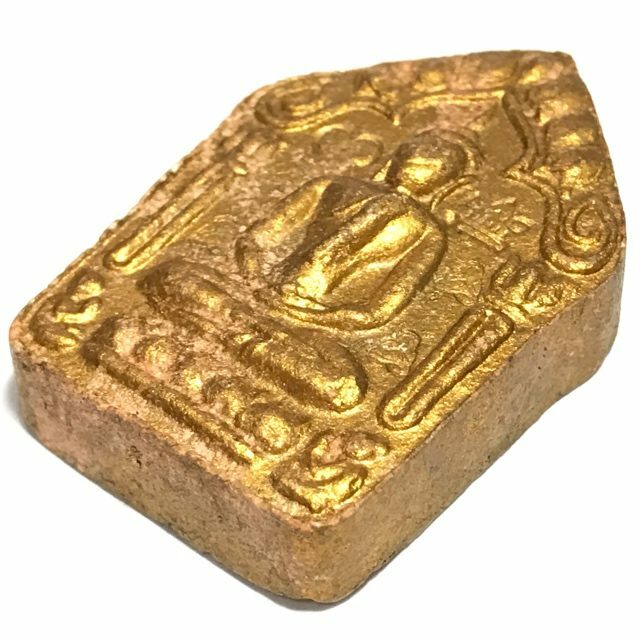 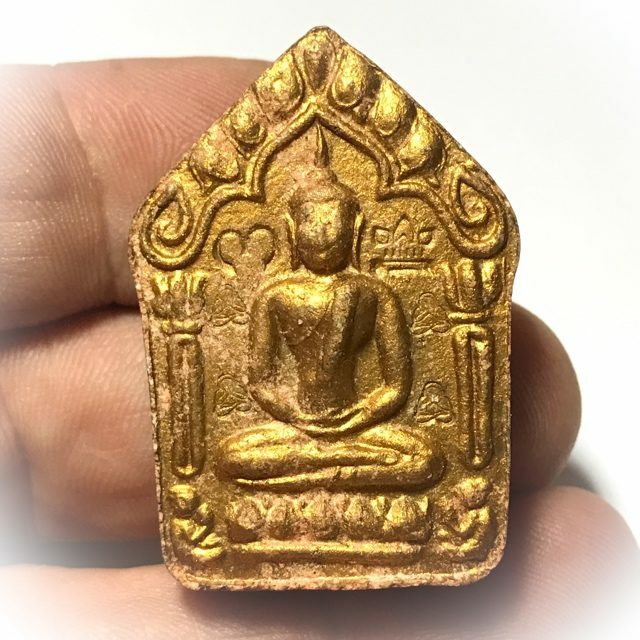 Rian Hmun Ngern Hmun Tong Prakam 18 Met Pim Niyom Lai Mai Mee Pod Block Hnaa Bow Lek Code Ma Nuea Tong Daeng Rom Dam Luang Phu Hmun Tidtasilō Special Limited Edition 2542 BE Edition Pra Niyom class amulet of the Great Luang Phu Hmun (Moon), with code ‘Ma’ stamp, in Bow Lek Block Hnaa Block press Preferred model. 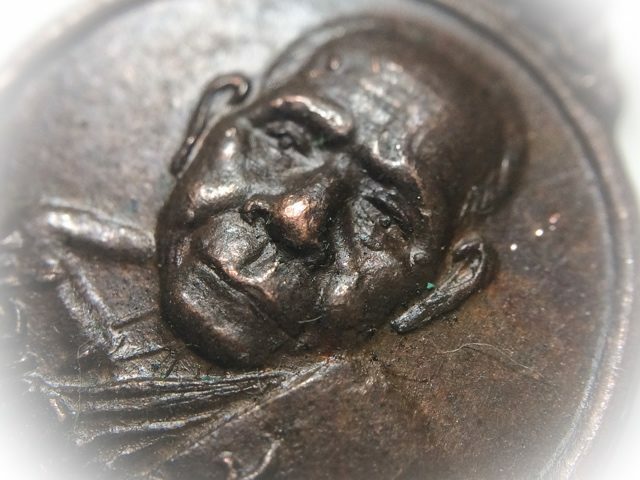 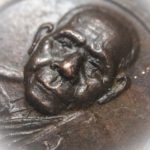 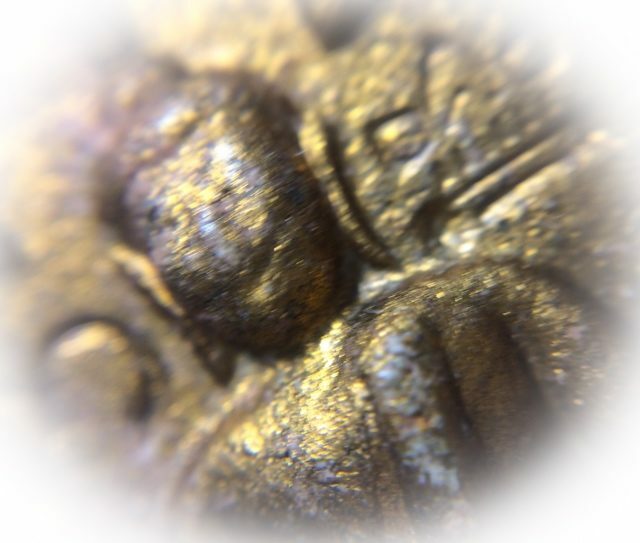 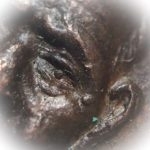 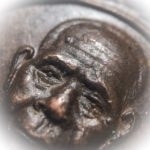 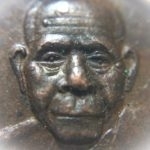 The front face of the coin features the image of Luang Phu Hmun Tidtasīlō in ‘Kreung Ongk’ Cameo Bust/Half Torso), with a Bow Ribbon underneath. 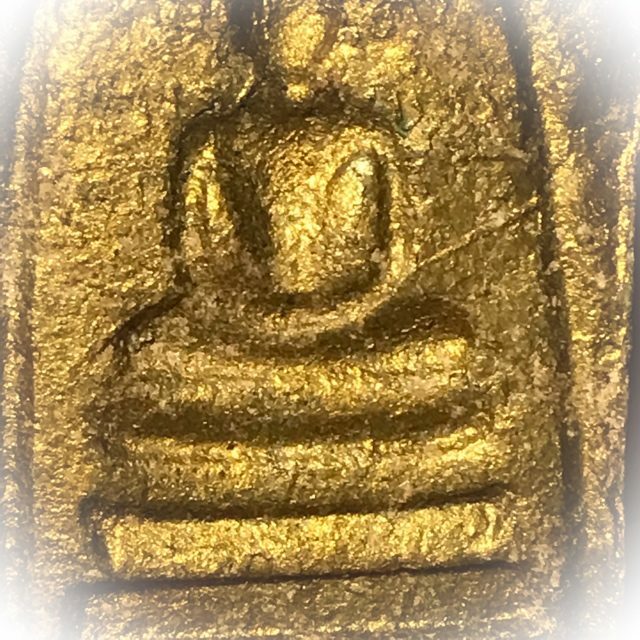 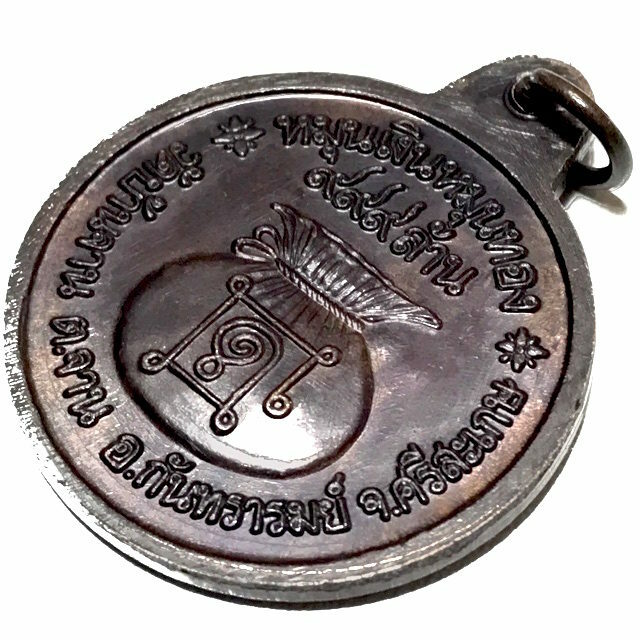 The ‘Ma’ code stamp in Khom Agkhara is embossed into the face of the amulet to the side of Luang Phu’s right shoulder. 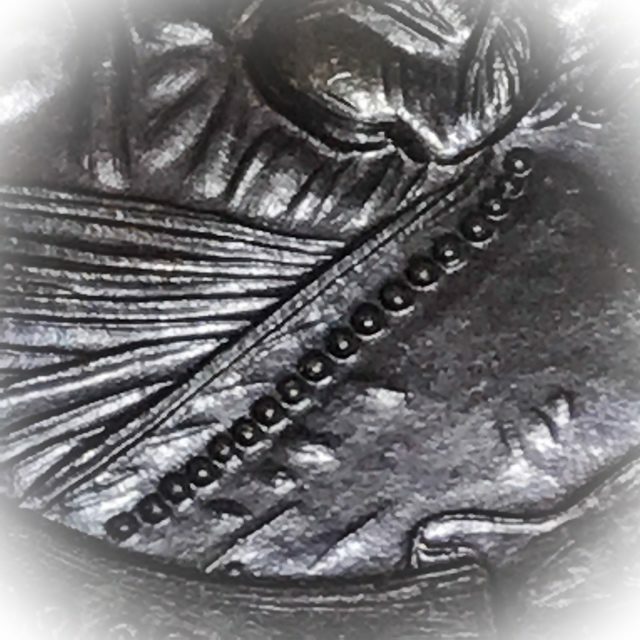 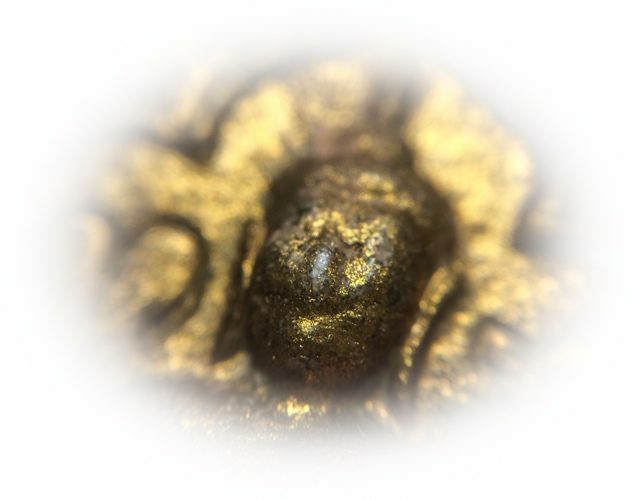 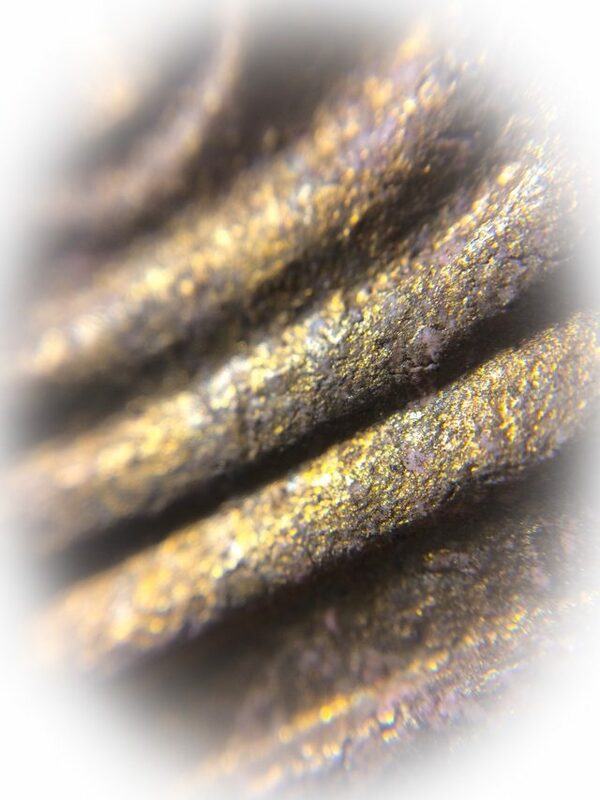 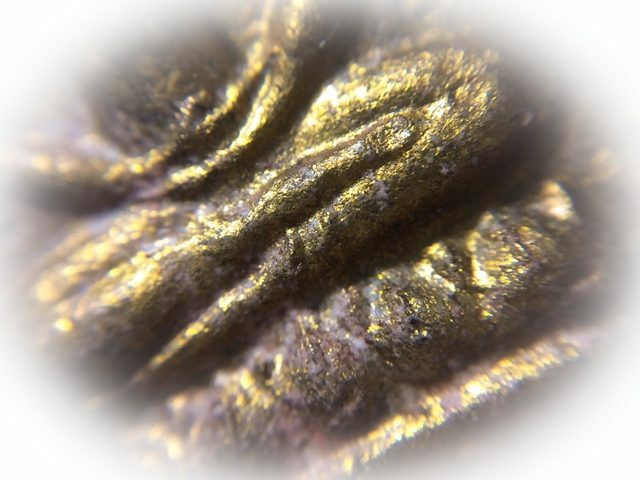 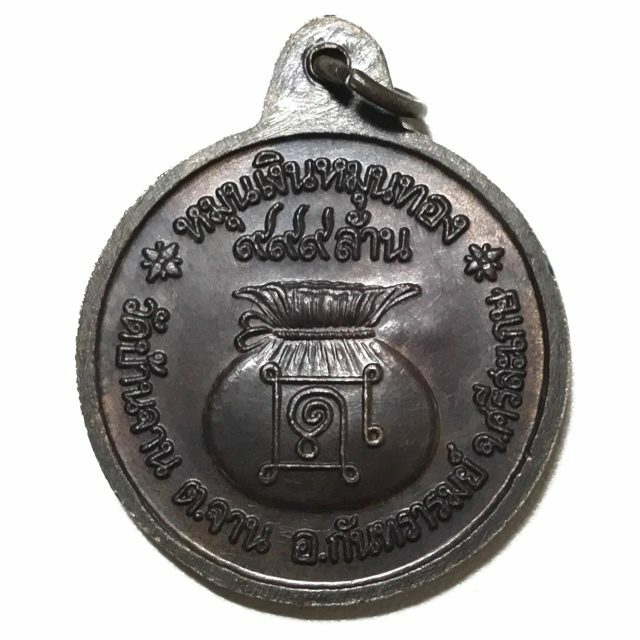 This Pim (model) is a Pim Niyom Lai Mai Mee Pod (no mole on the shoulder) preferred model, and is a Pim Bow Lek (small bow), which is defined and differentiated from the Pim Bow Yai, by the fact that the flares of the ribbon are smaller and do not touch the edges of the borders of the coin, as is the case in the Pim Bow Yai. 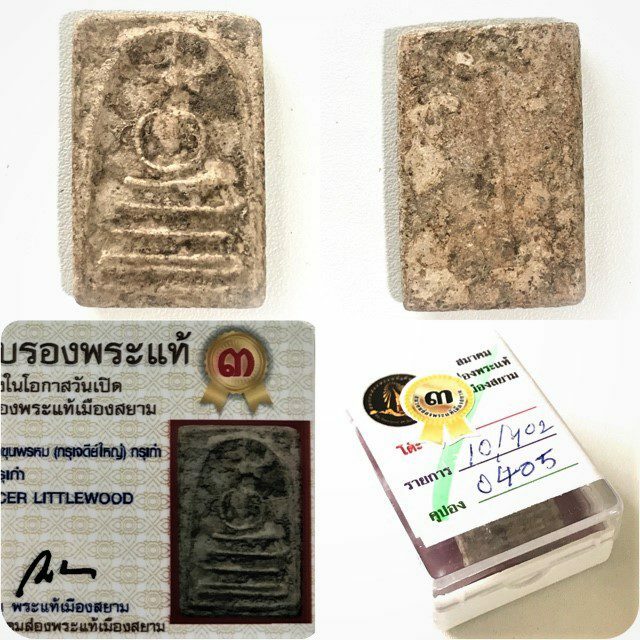 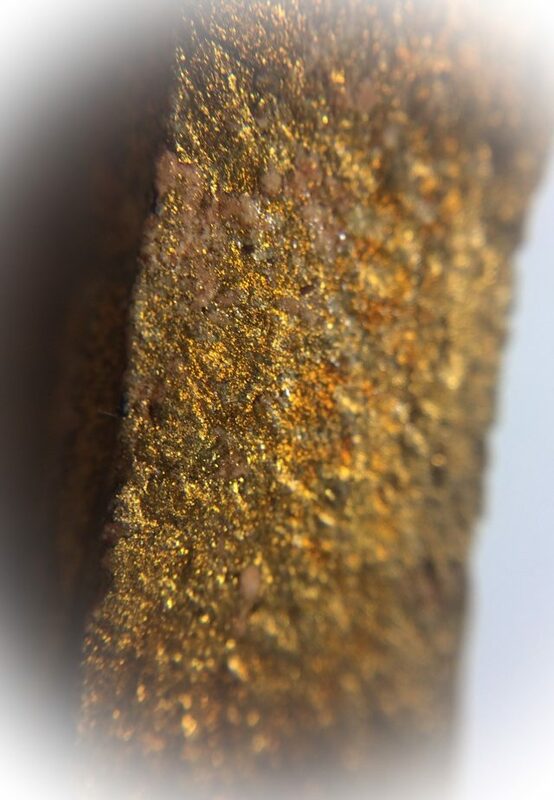 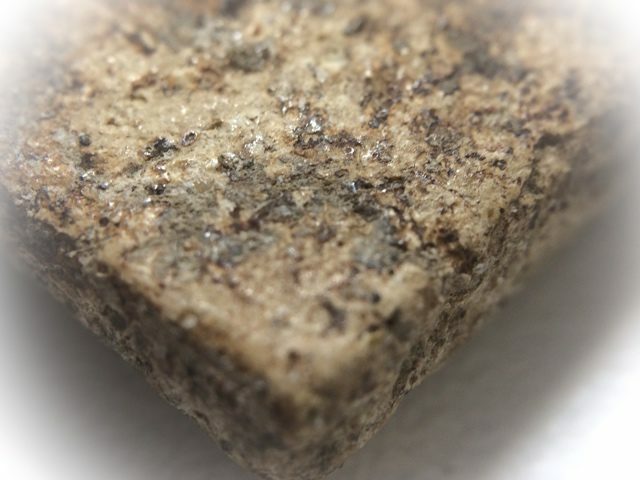 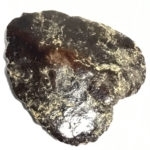 The Block Prakam 19 Met Pim were pressed using the Block Hnaa (thick block press), whereas the Block Prakam 18 Met were pressed using both the Block Hnaa thick block press and the Block Bang thin block press. 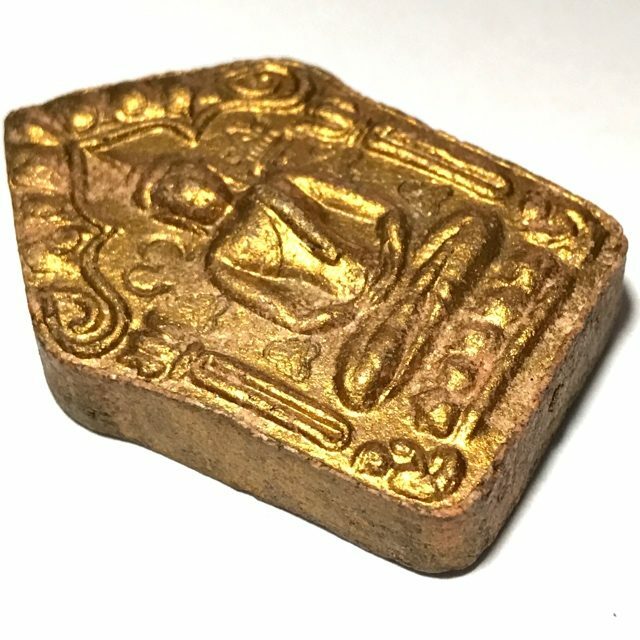 The Rian Hmun Ngern Hmun Tong of Luang Phu Hmun was made in various Design Block Presses, and in thicker and thinner version Block Presses. 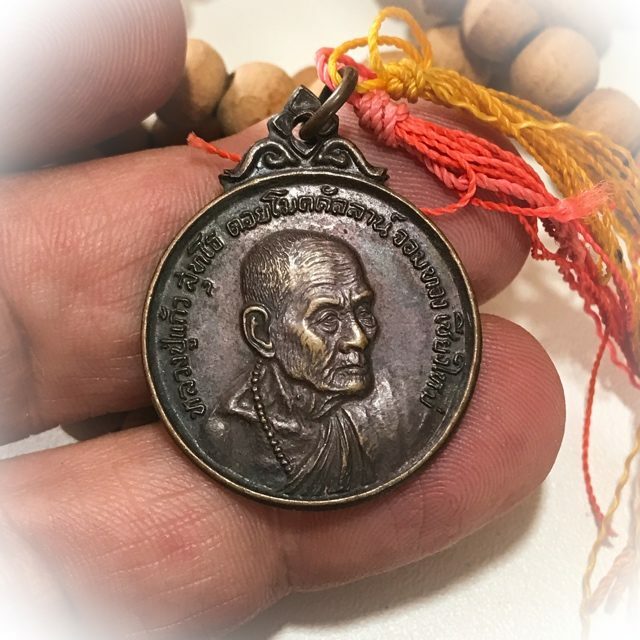 Firstly we should list the Rian Hmun Ngern Hmun Tong Prakam 19 Met (nineteen rosary beads visible on the monk’s robe), and the Rian Hmun Ngern Hmun Tong Prakam 18 Met (eighteen rosary beads on the monk’s robe). 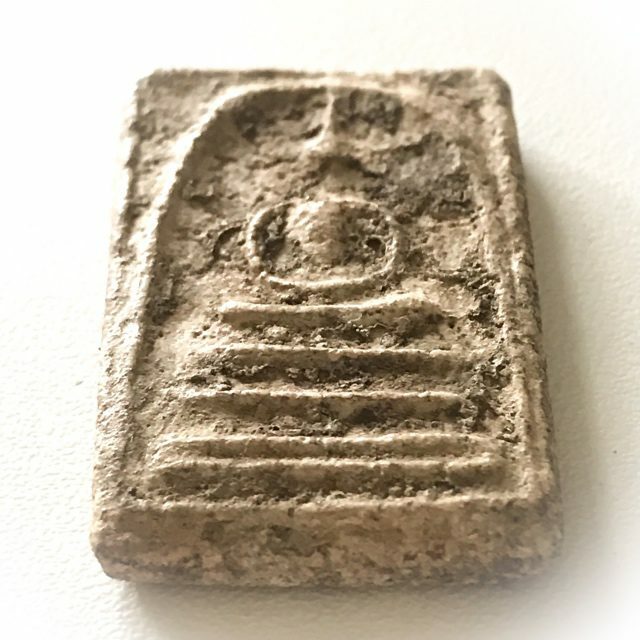 The Rian Hmun Ngern Hmun Tong Block Hnaa 18 Met is a top preferred amulet of Luang Phu Hmun Tidtasīlō, which was blessed in the Pra Kring Jaroen Lap Edition Blessing Ceremony, and which gained great fame due to a multitude of reports of miraculous successes and life saving miracles from devotees who wore the amulet, making it one of the great popular amulets of all time of Luang Phu Hmun, for miraculous powers. 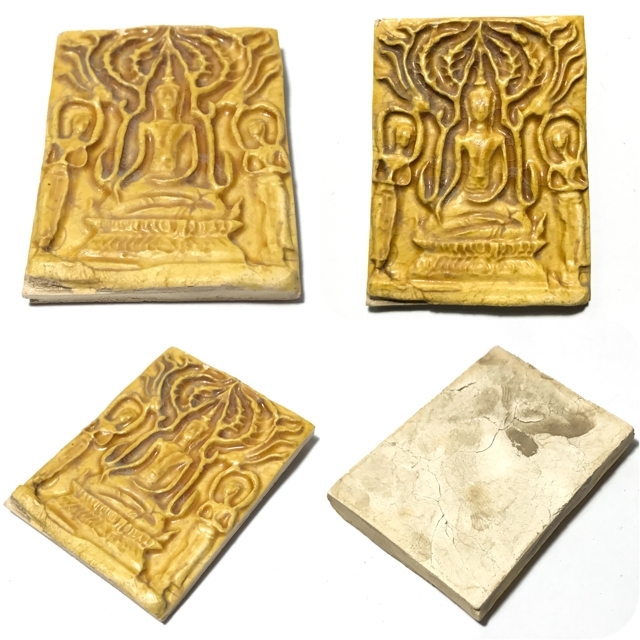 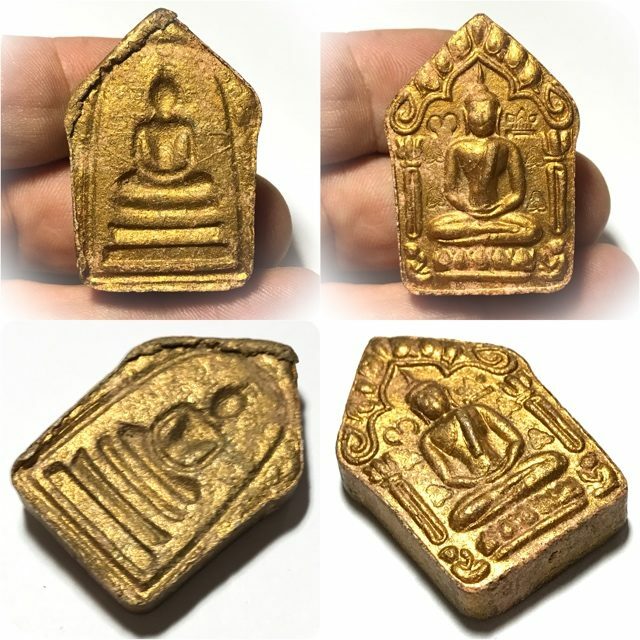 This series of amulets were placed for blessing in the same Buddha Abhiseka Ceremony held for the ‘Jaroen Lap’ edition, with not only Luang Phu Hmun present to perform empowerment and blessings, but also a number of other Great Master Monks. 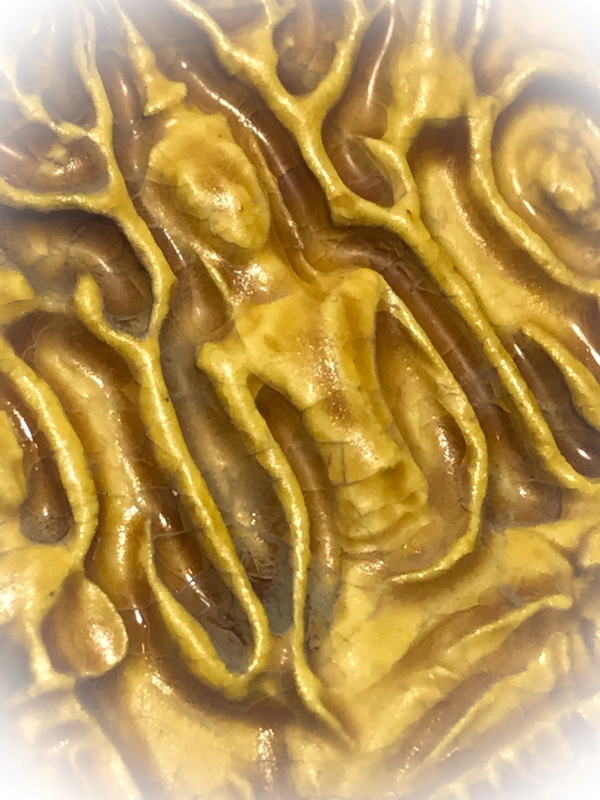 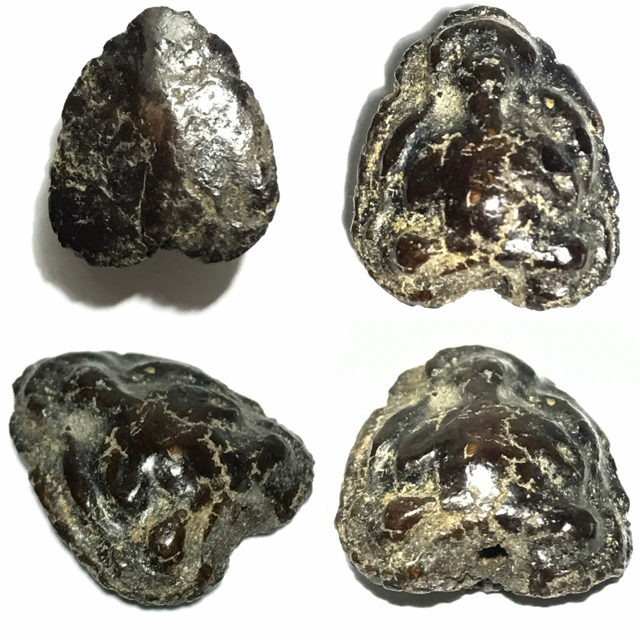 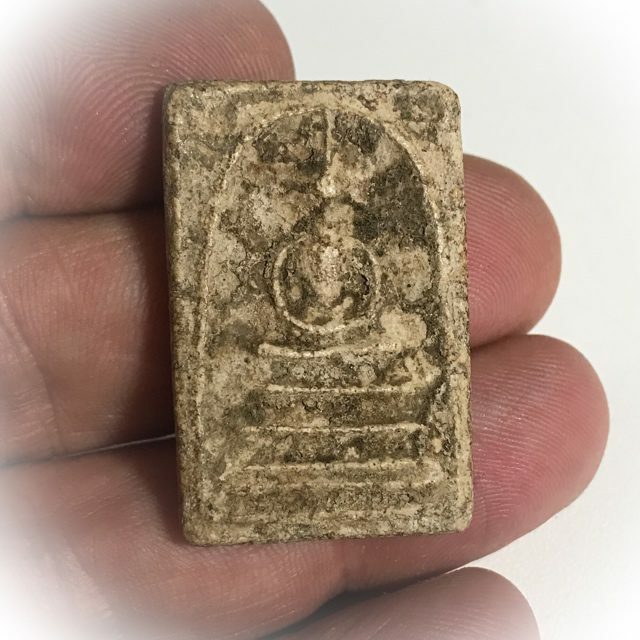 The Piti Tae Tong Casting was performed on the 30th October 2542 BE, The Buddha Abhiseka Blessing for the amulets was performed on the 31st October in the year 2542 BE at Wat Ban Jan with Meditative Empowerment. 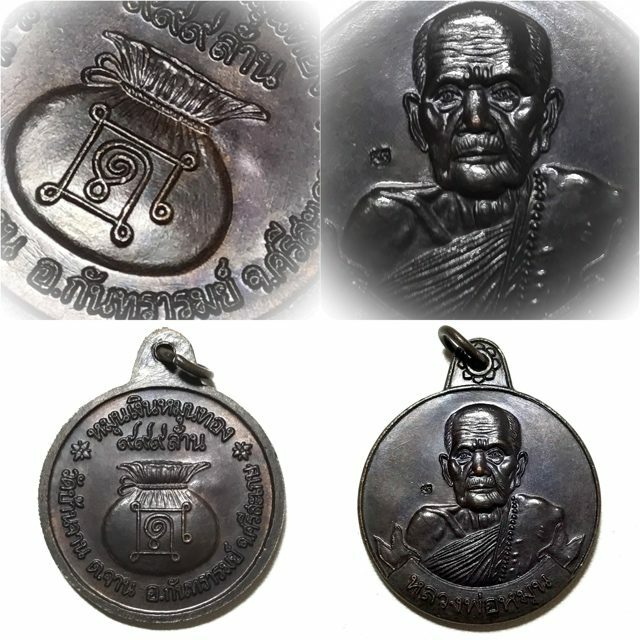 Rian Arm Narai Song Krut Guru Monk Shield Coin amulet with Vishnu Avatar Riding Garuda Bird on rear face. 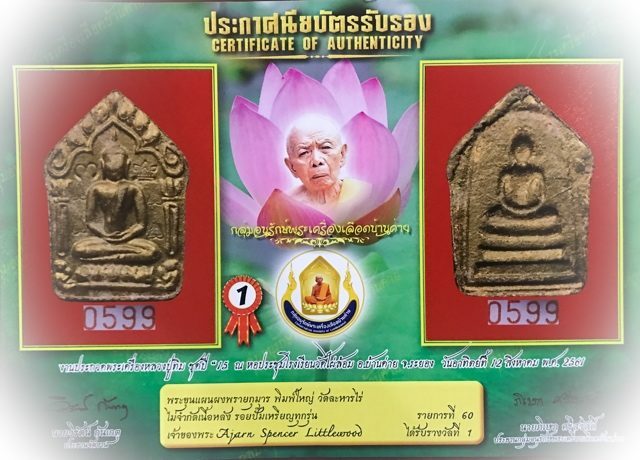 Of a total of 10,000 amulets pressed and cast, 2000 of them were given the special code ‘Ma’ limited edition stamp for special release after a second blessing ceremony at Wat Nong Lom. 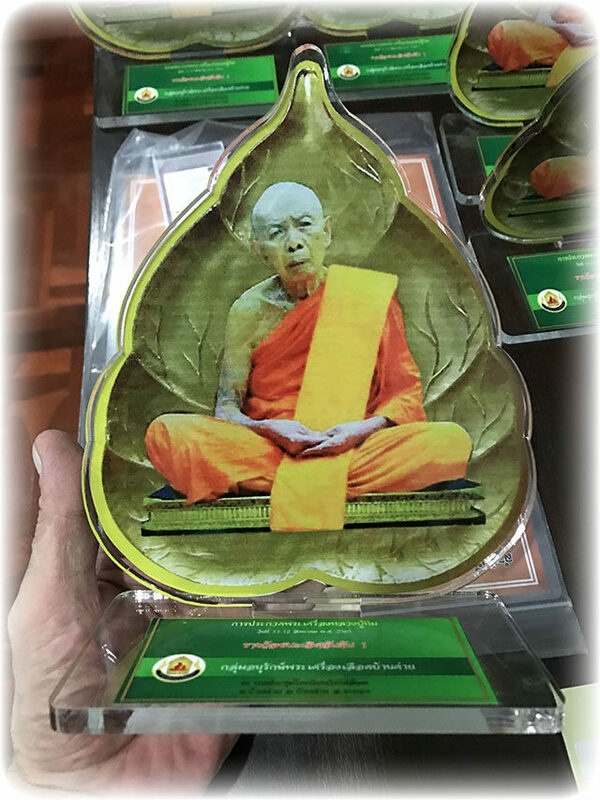 7500 Coins were given the code ‘Na’ stamp and released at Wat Sutat temple, and a further 500 coins were not given any code stamp at all (for release directly at Wat Ban Jan). 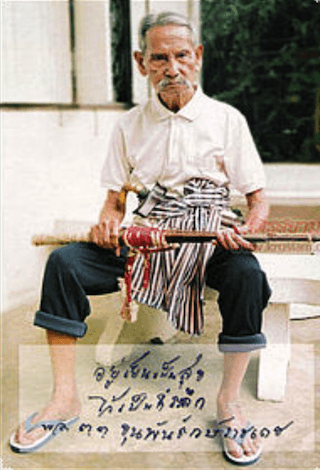 Below; news article about the Jaroen Lap edition (105 years Luang Phu Hmun), with the Rian Narai Song Krut visibly included. 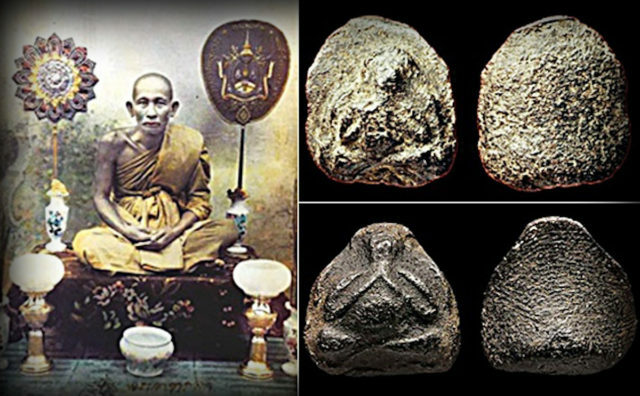 Below; Cover of Encyclopaedic Catalog of the Amulets of Luang Phu Hmun, and below it, the inclusion of various Pim of the his amazing Amulets gracing its pages, including the Rian Hmun Ngern Hmun Tong, and the Rian Arm Hlang Narai. 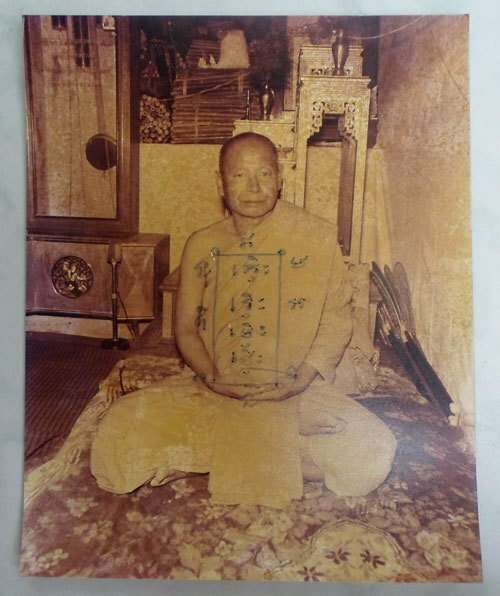 His Miracle Powers are Legendary, with so many stories of Miraculous events related to this Monk, who has seen the Reign of Five Kings in his Lifetime. 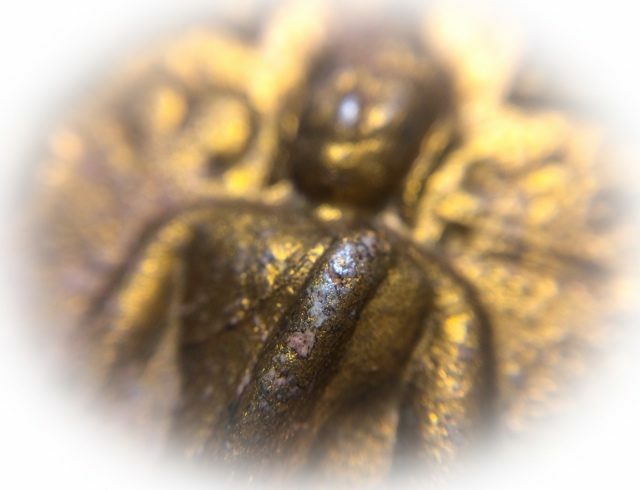 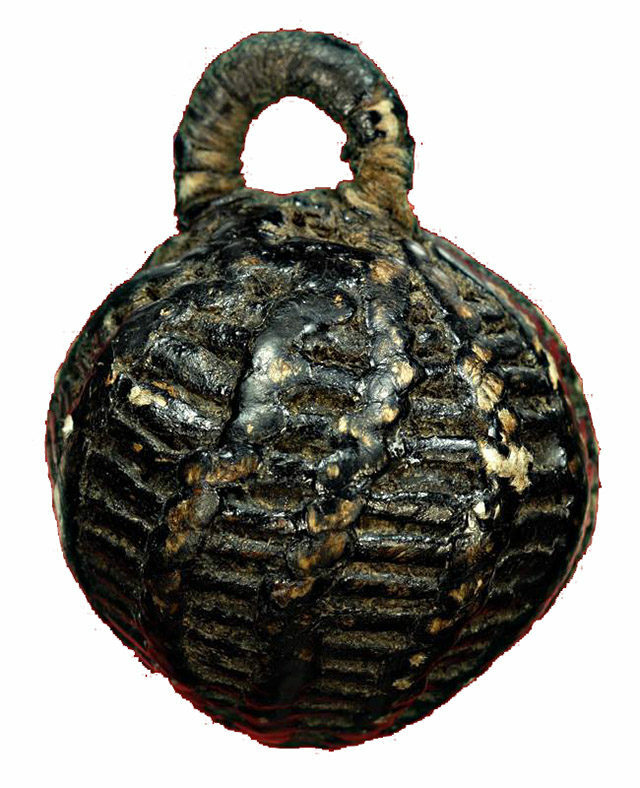 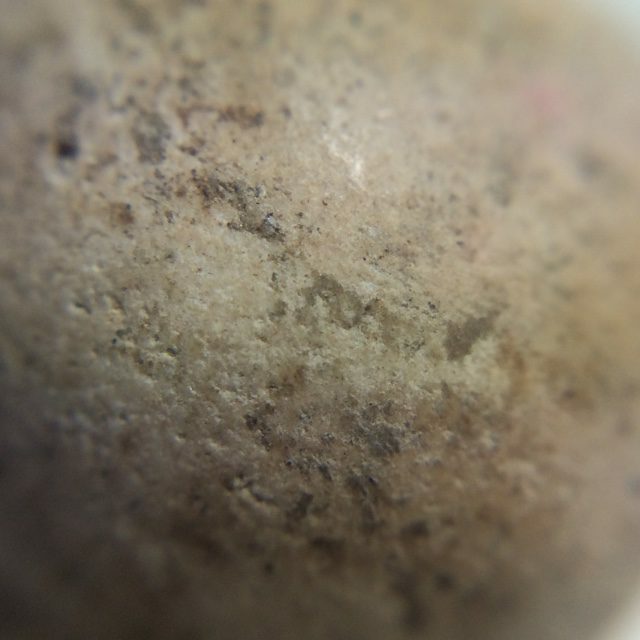 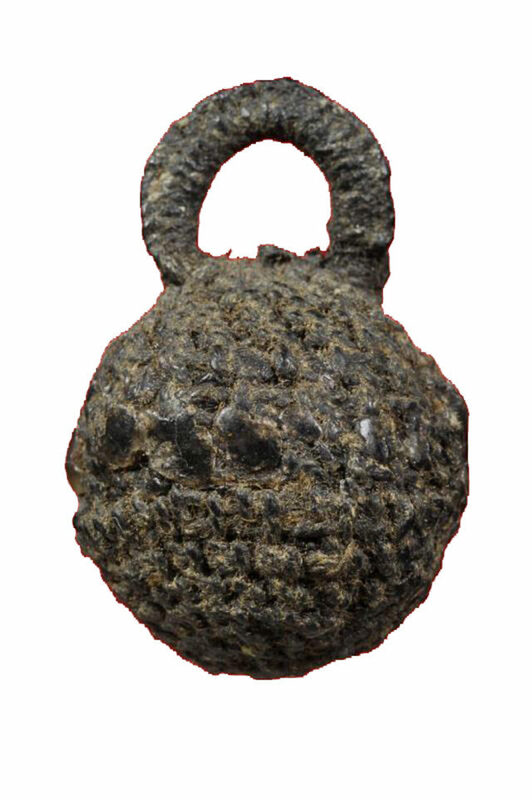 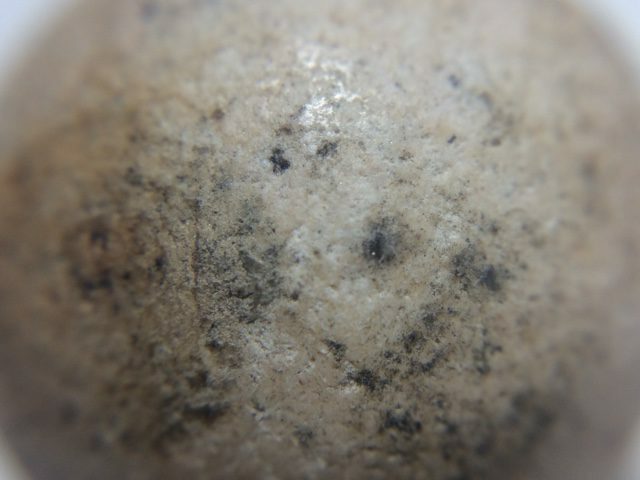 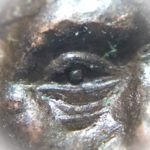 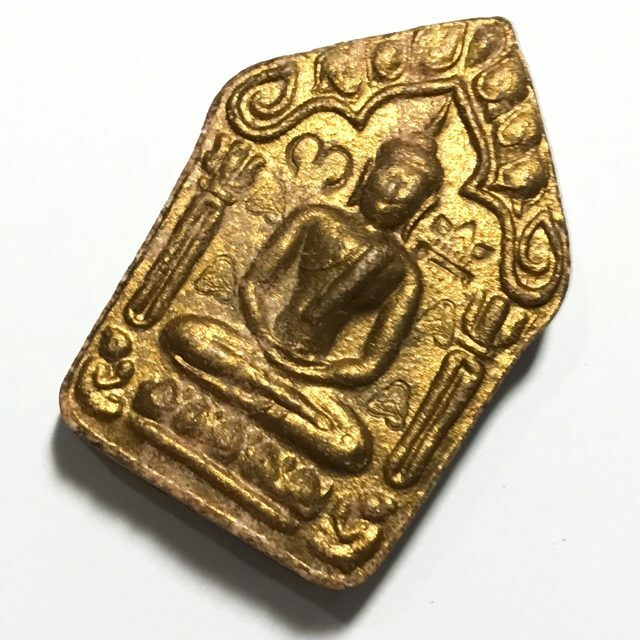 Luang Phu Hmun’s amulets are now very hard to come across. 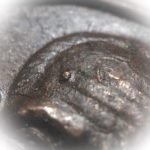 The word ‘Hmun’ means to turn and increase (revolve). 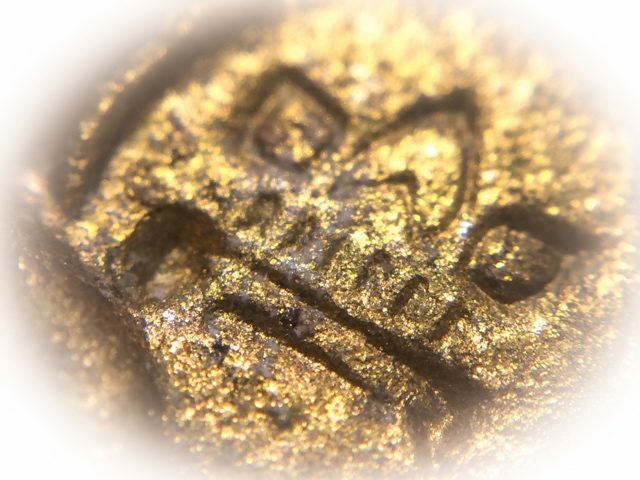 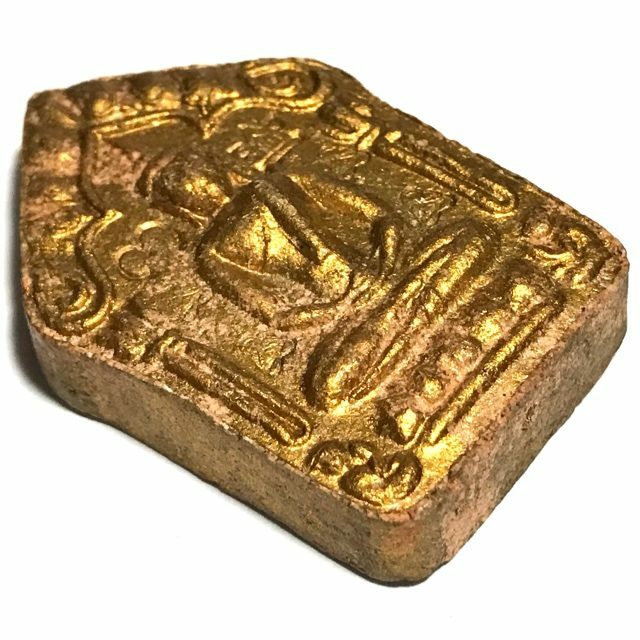 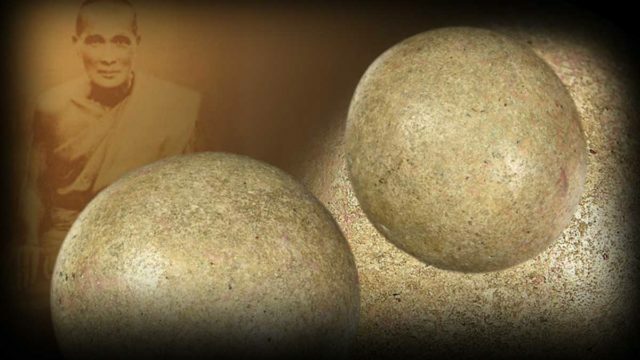 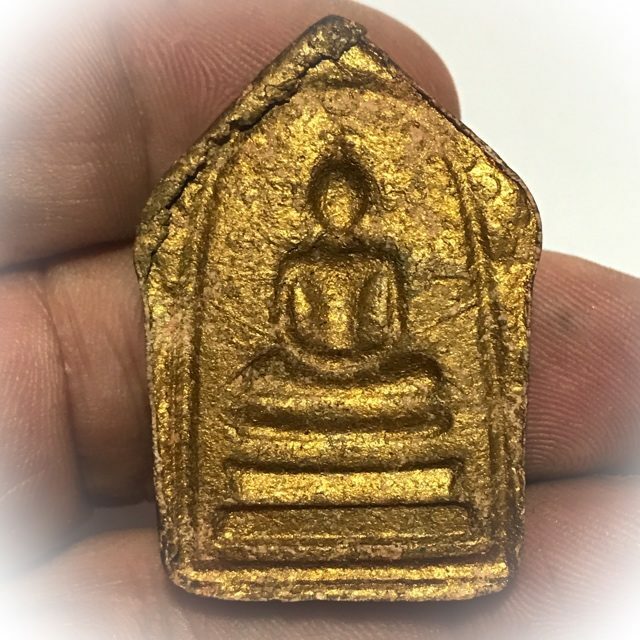 Luang Phu Hmun always foretold that those who Bucha his amulets, would turn their luck and fortunes around, and increase their Business Success. 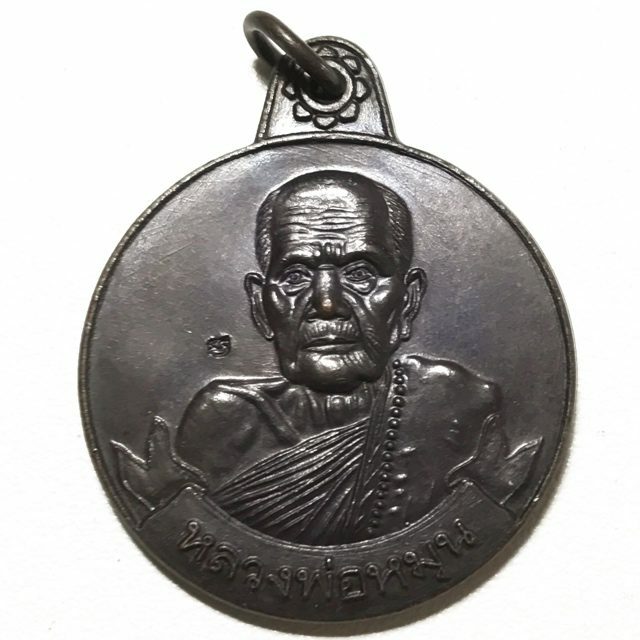 He also foretold that those who Bucha his amulets will be protected from ‘Dtaay Hoeng (premature deadly accidents), and that the Devas will Protect the wearer of his amulets. 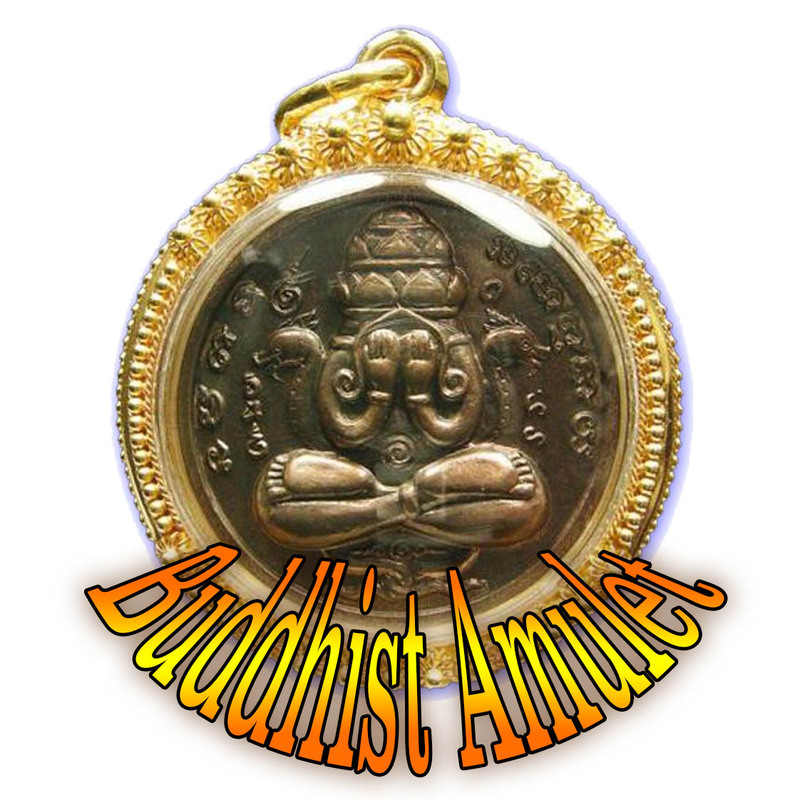 This amulet is an extreme rarity and is in pristine condition and highly eligible for show in competition. 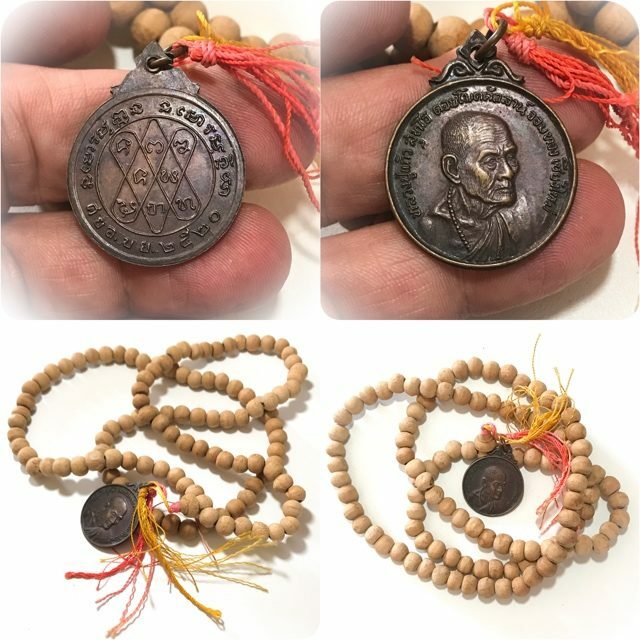 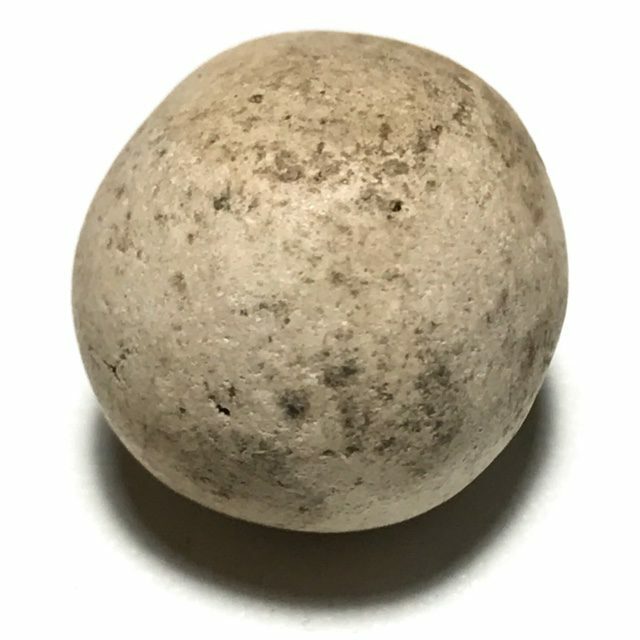 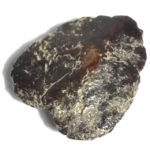 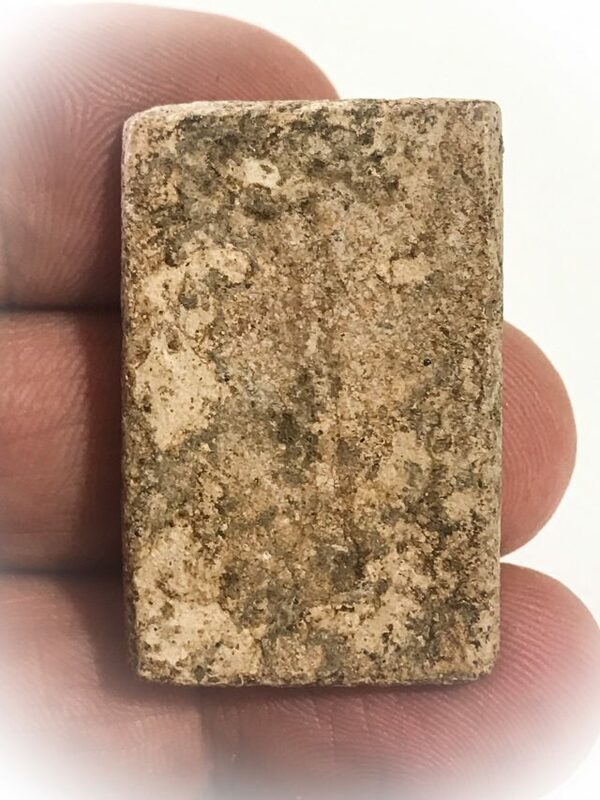 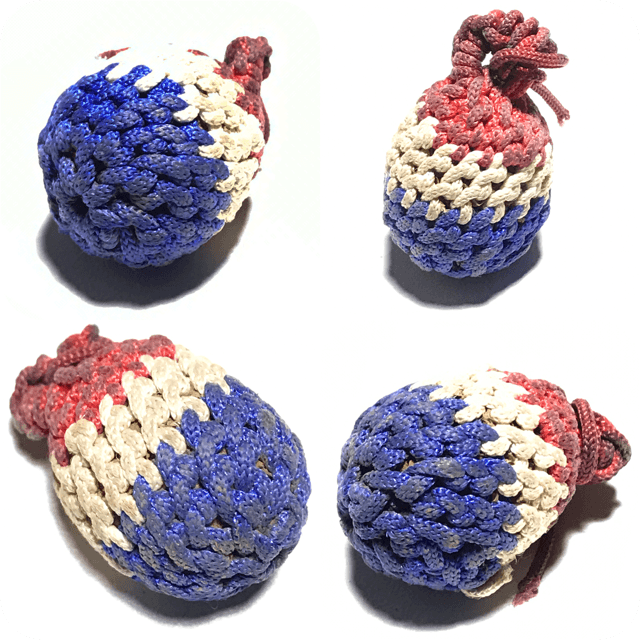 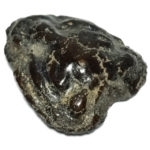 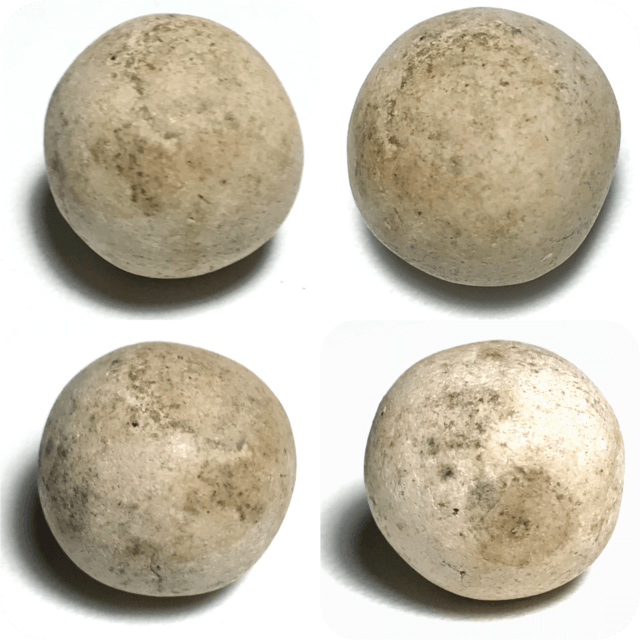 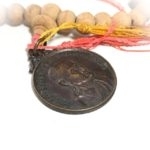 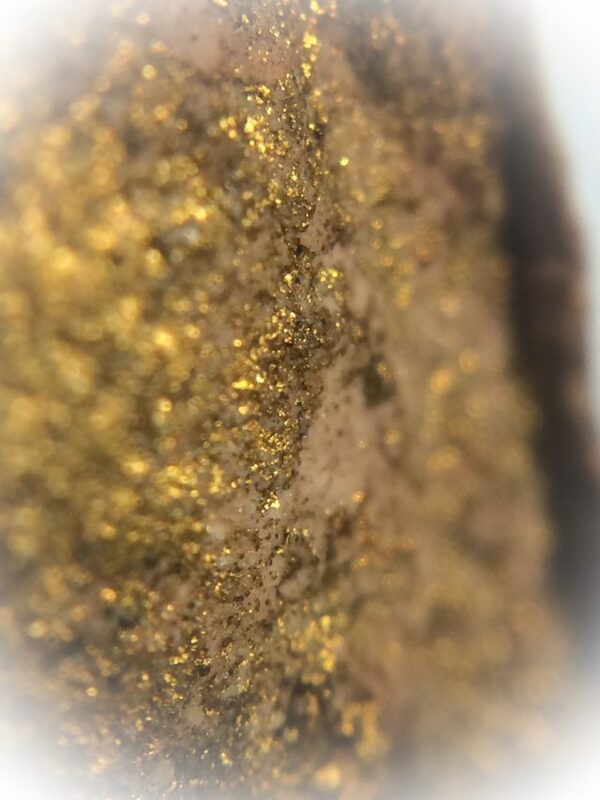 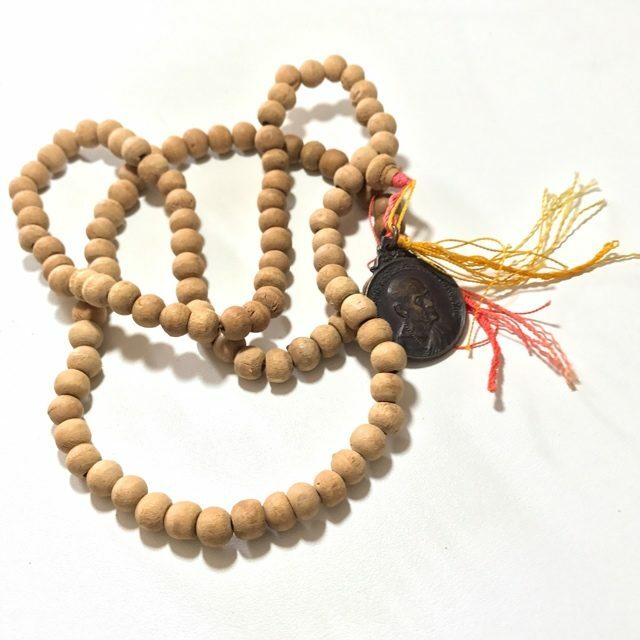 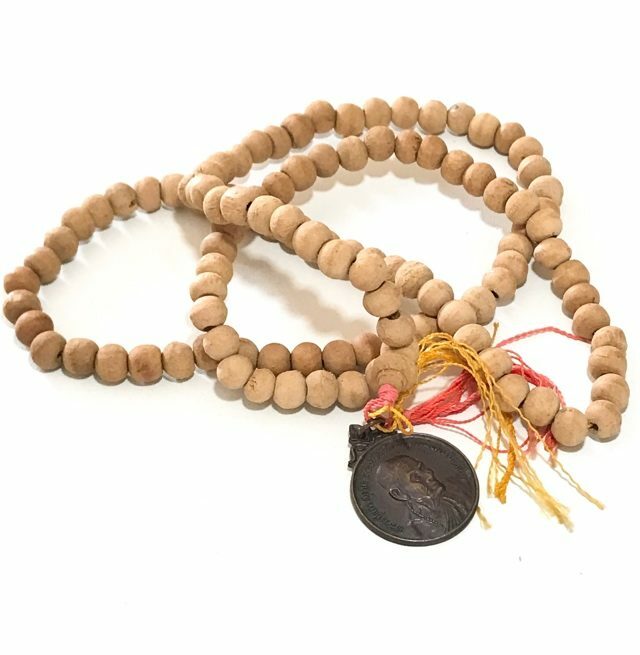 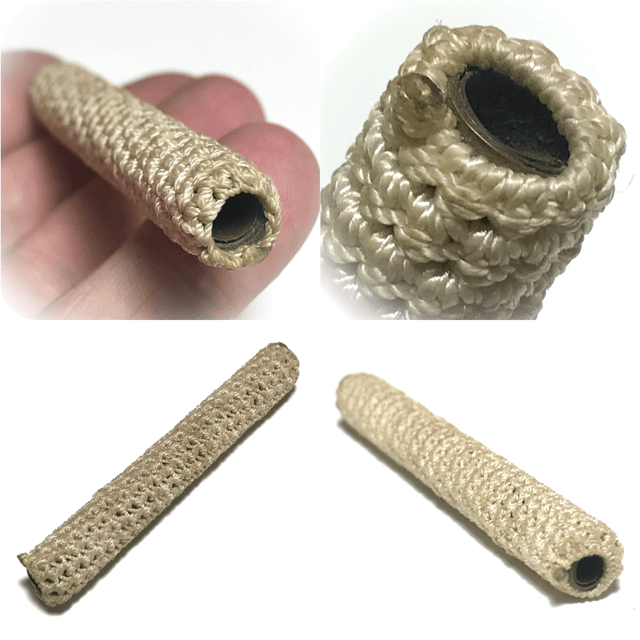 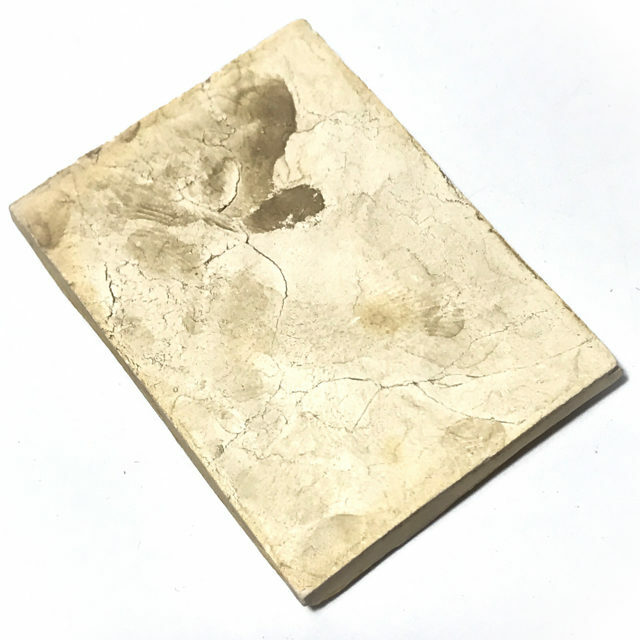 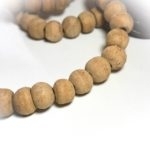 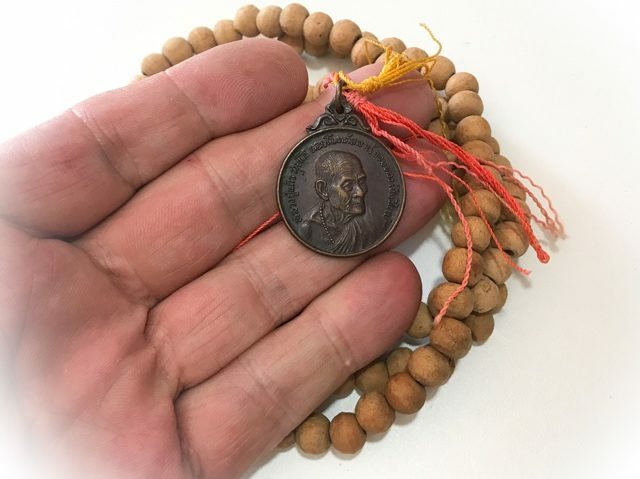 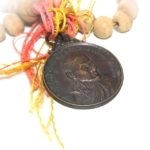 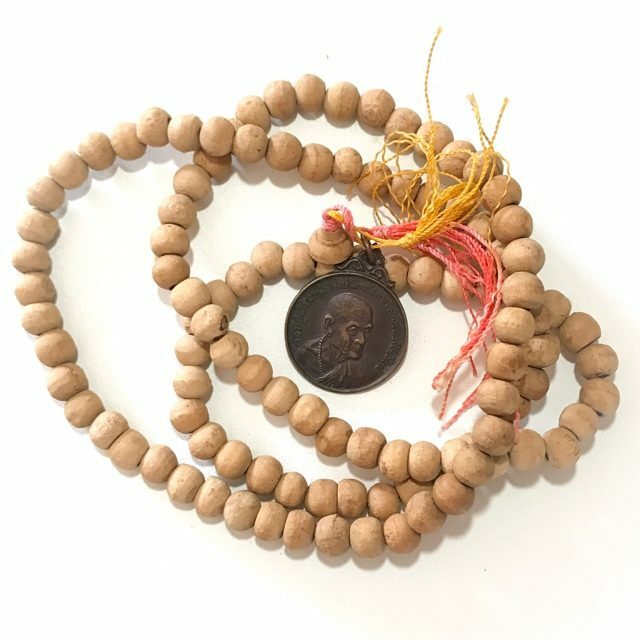 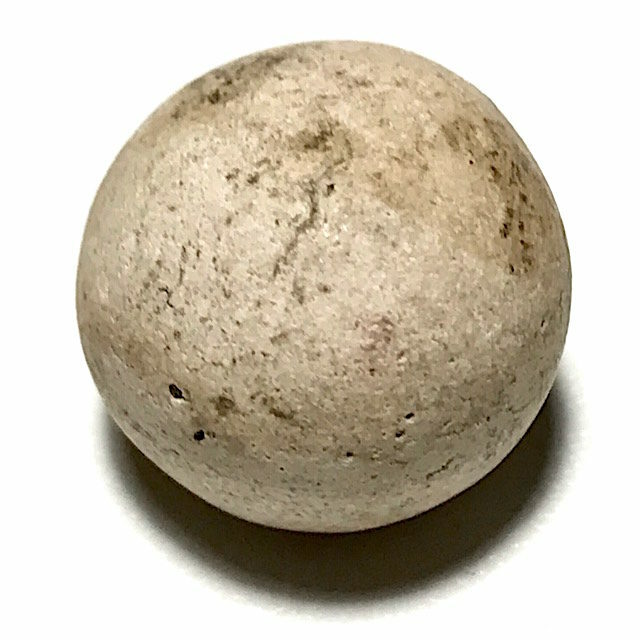 Considered extremely powerful protection and prosperity magic from this legendary miracle monk, and one of the most well known amulets of his pantheon. 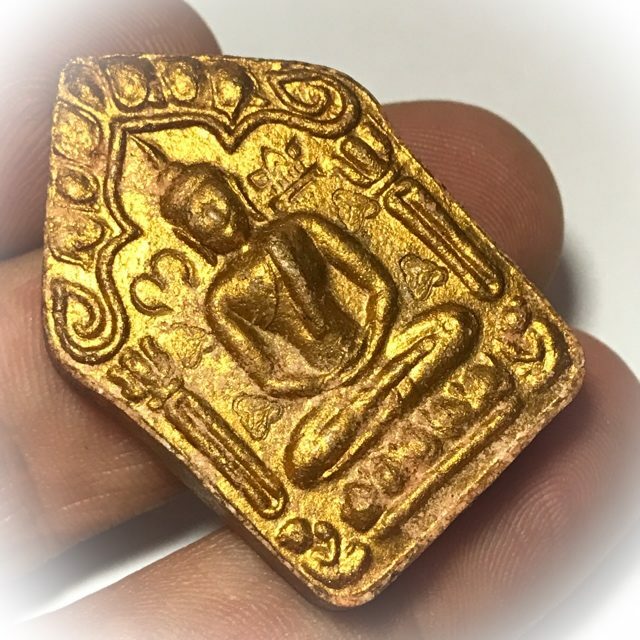 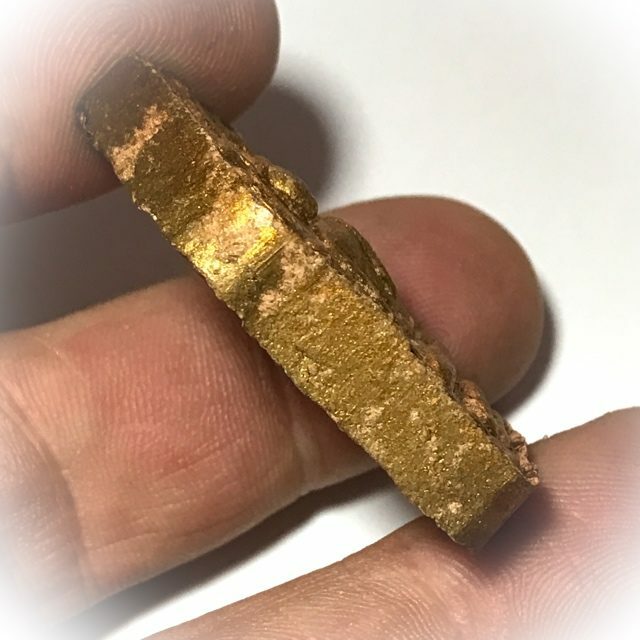 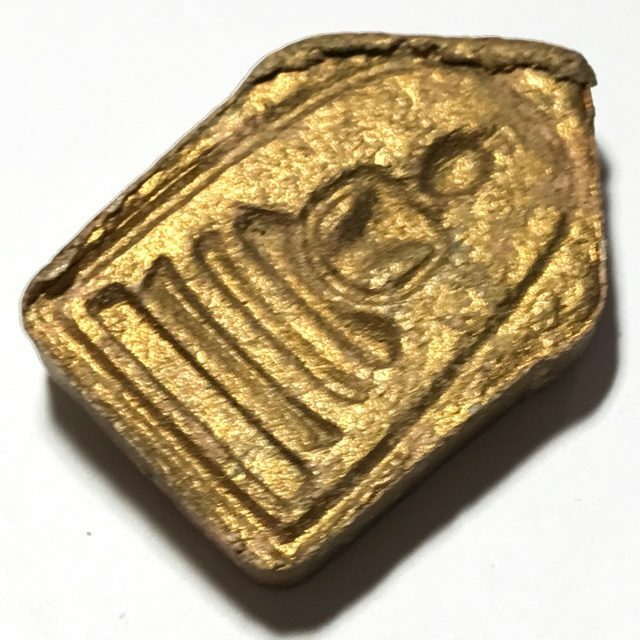 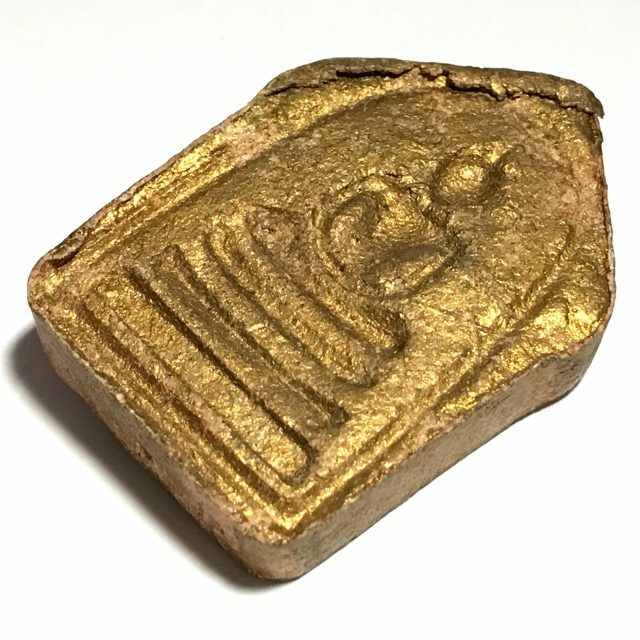 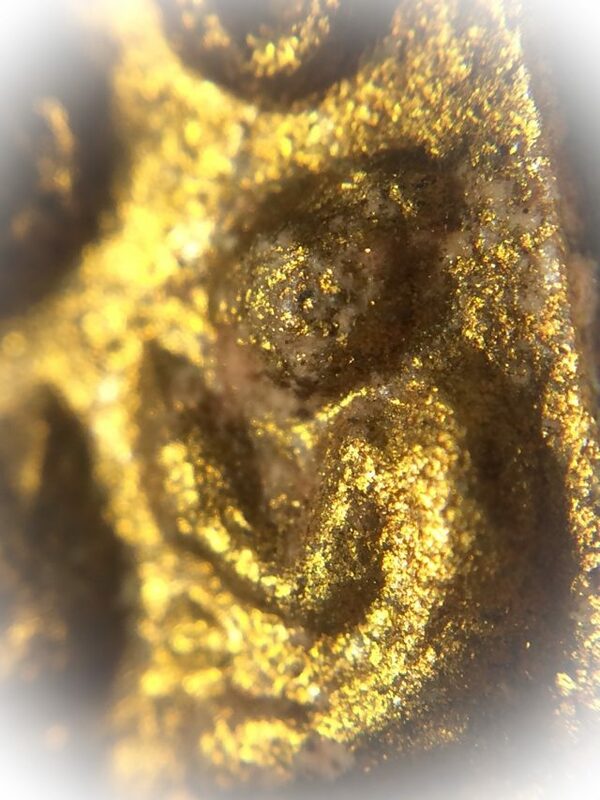 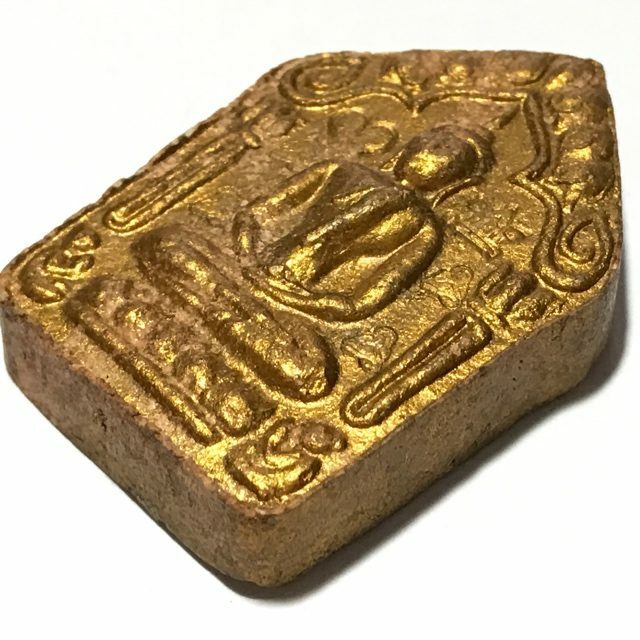 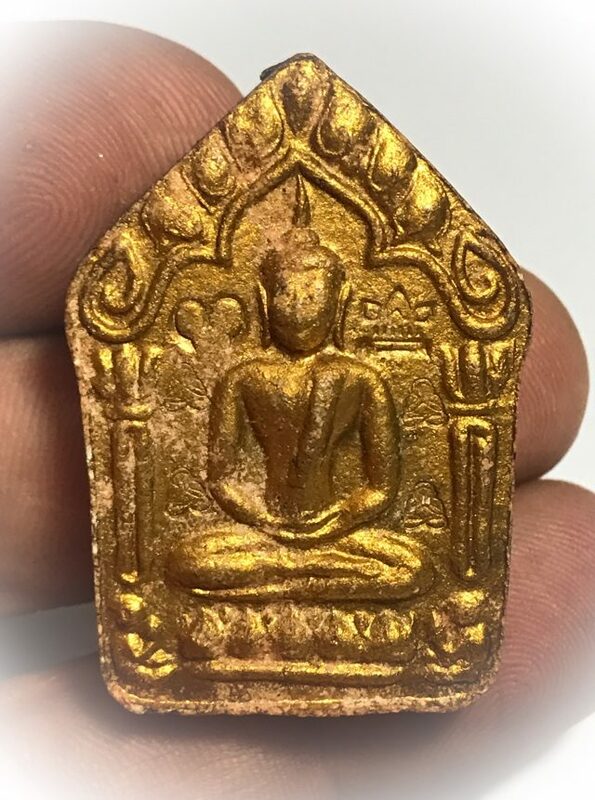 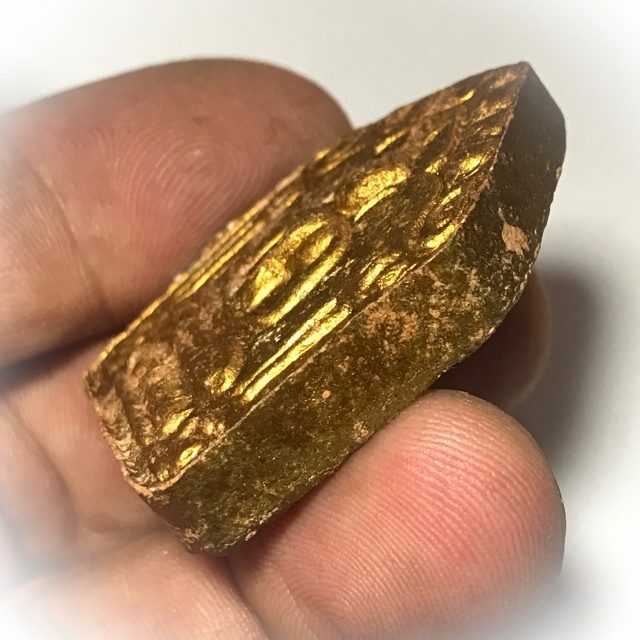 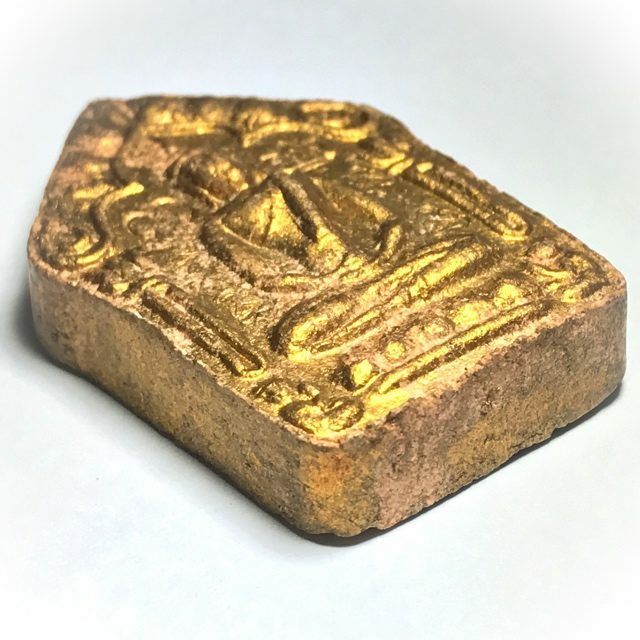 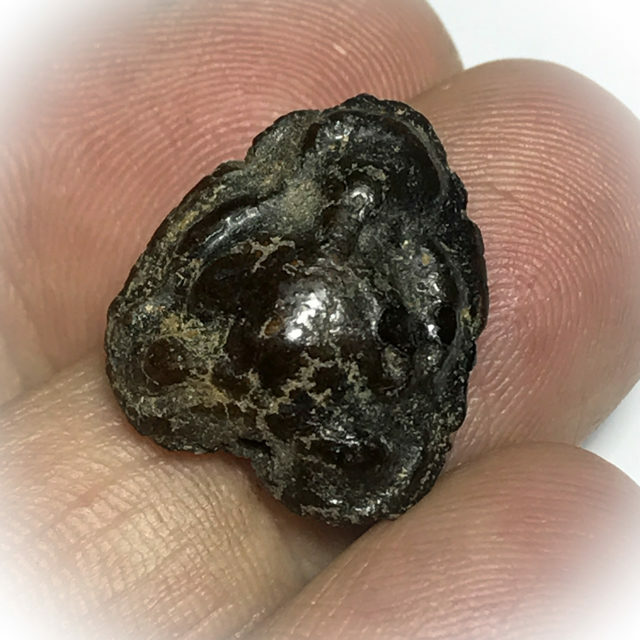 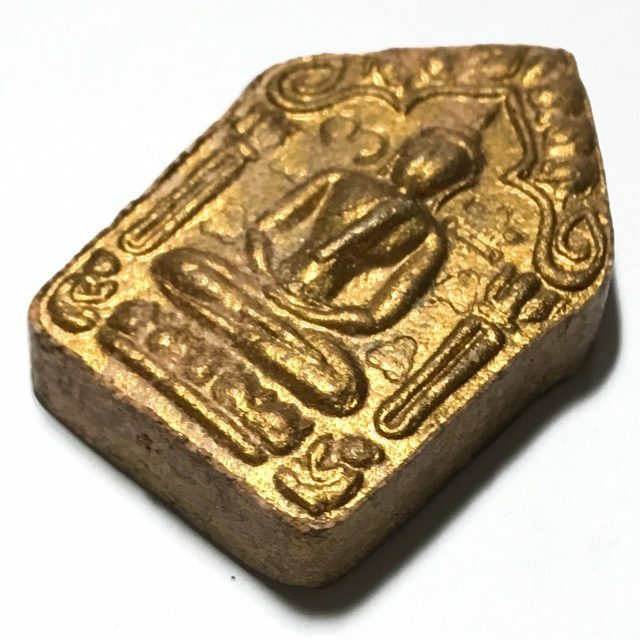 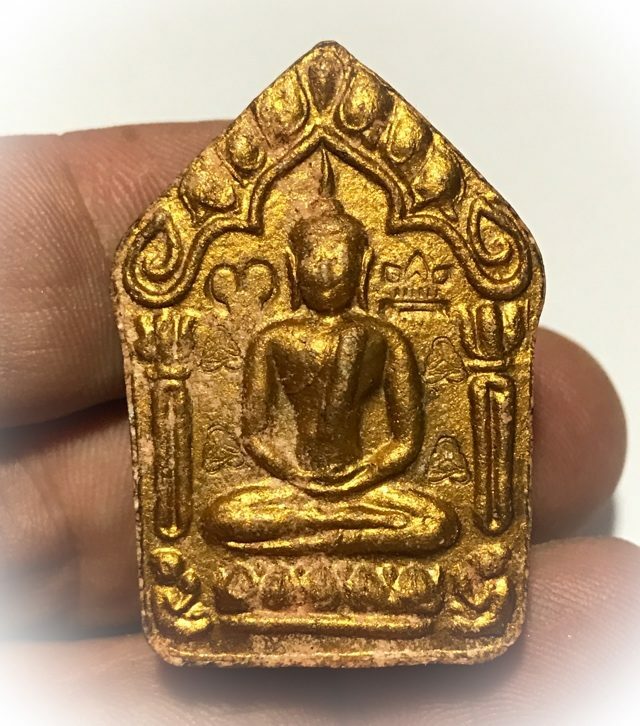 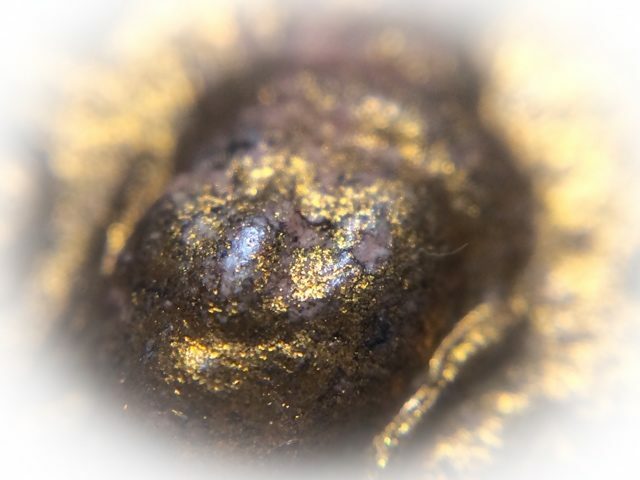 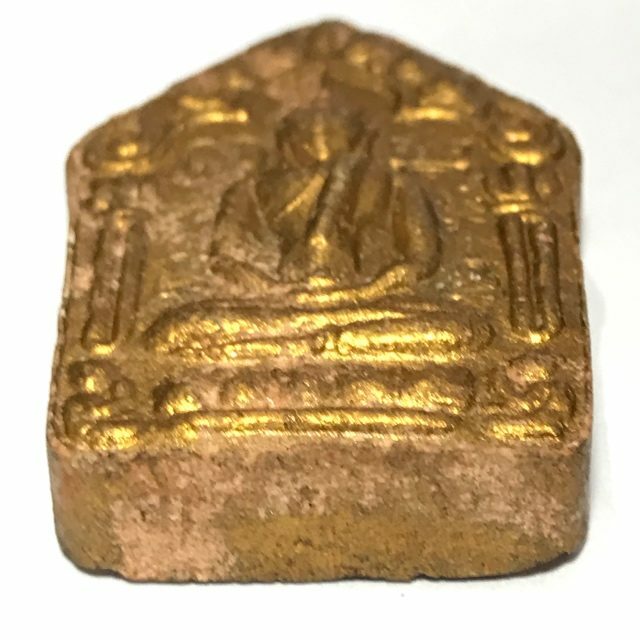 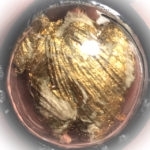 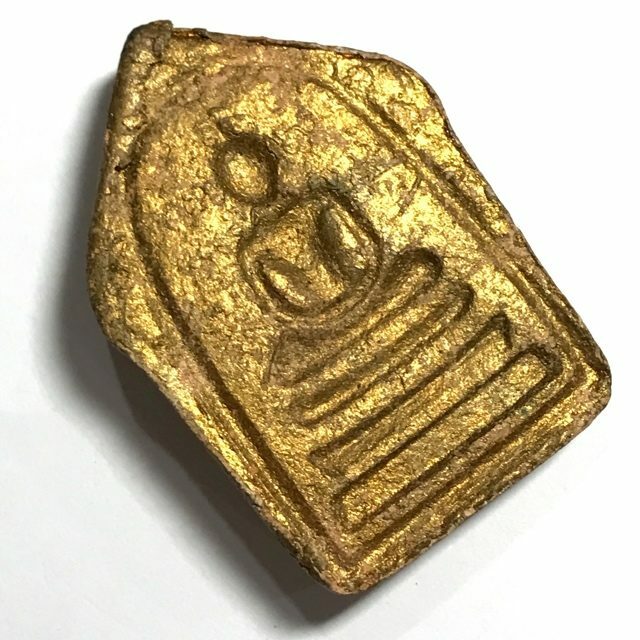 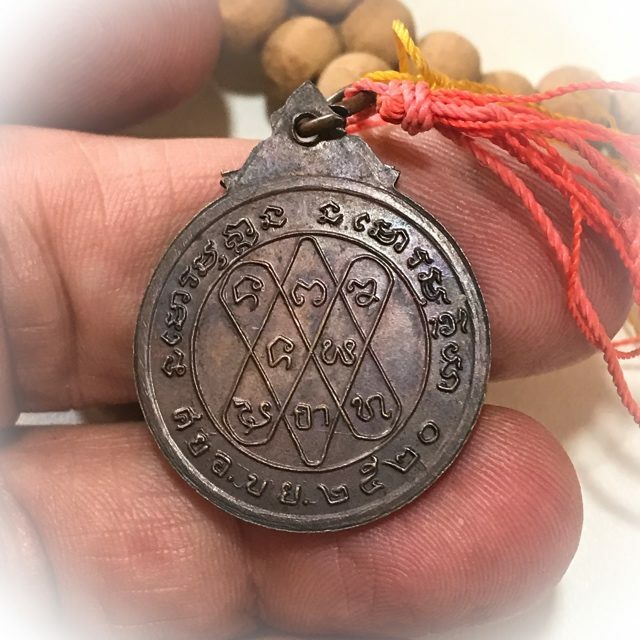 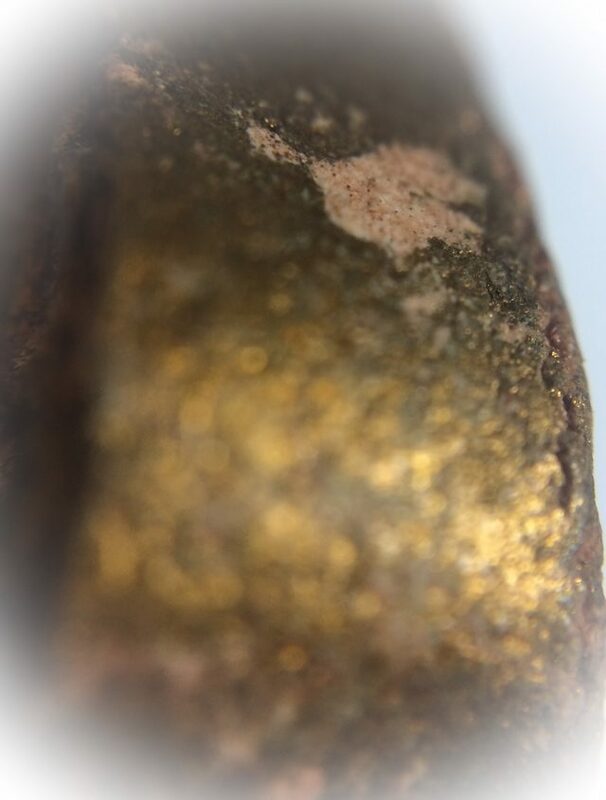 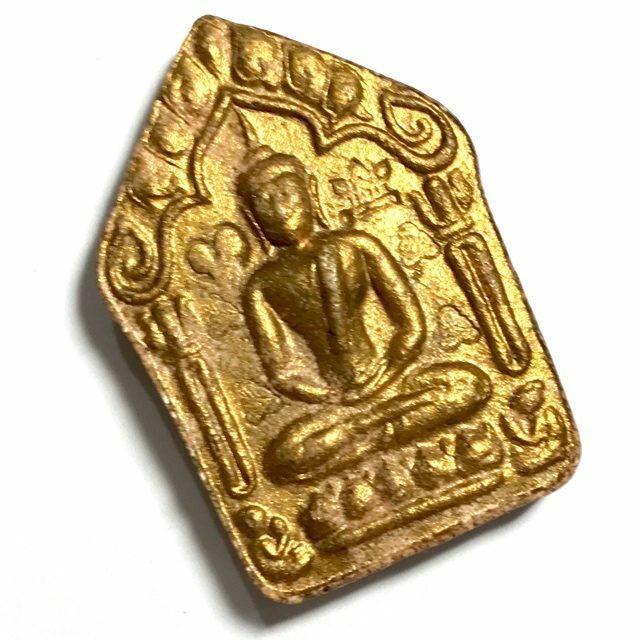 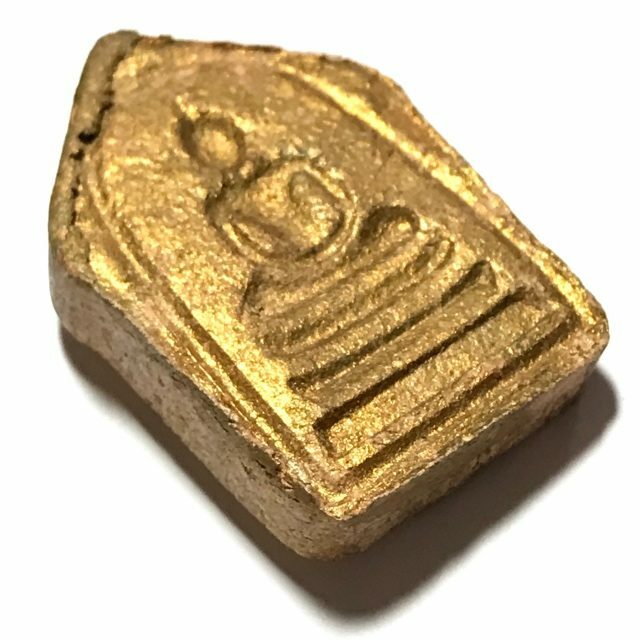 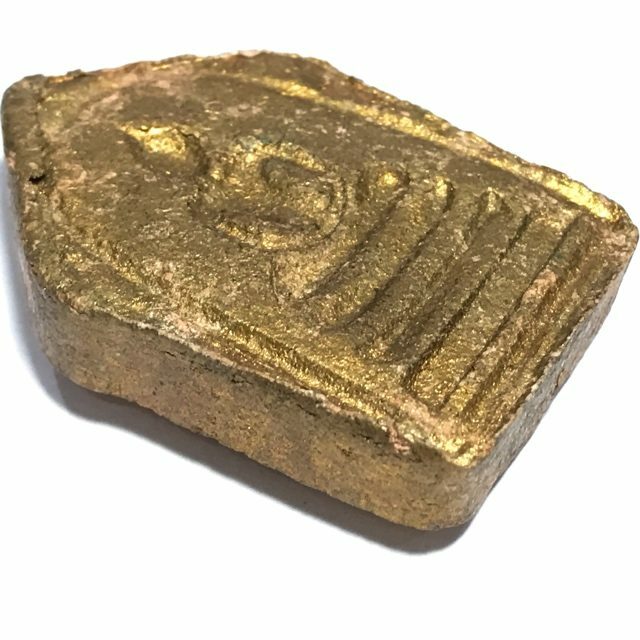 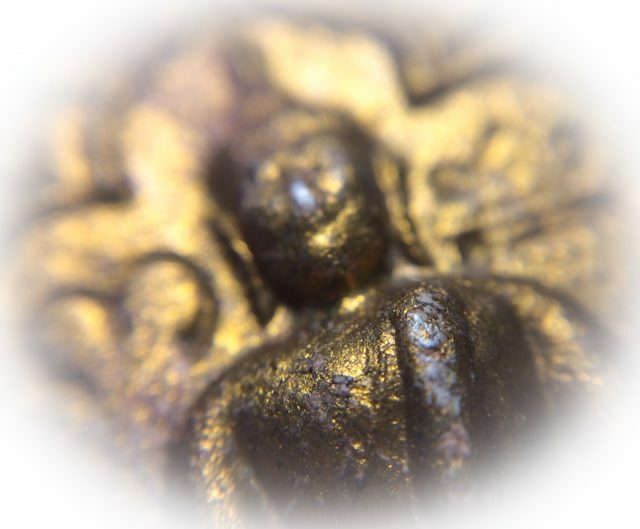 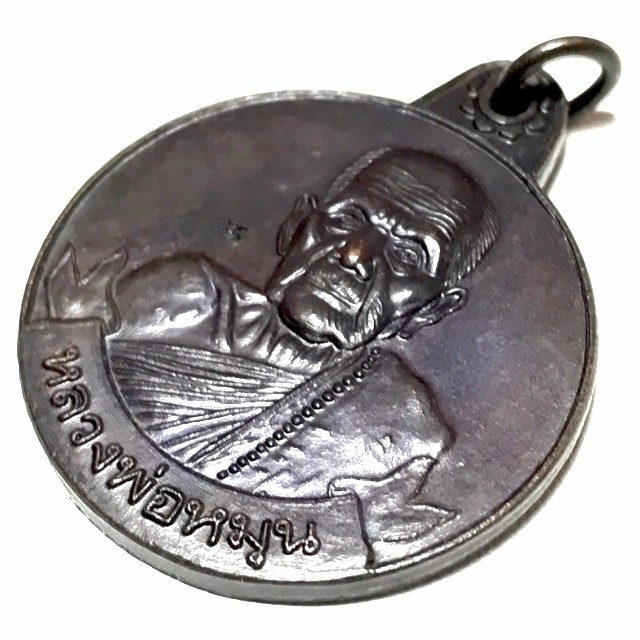 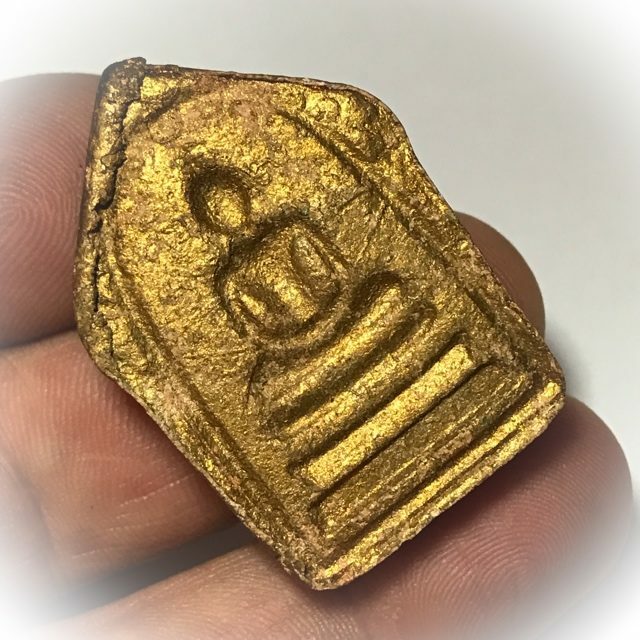 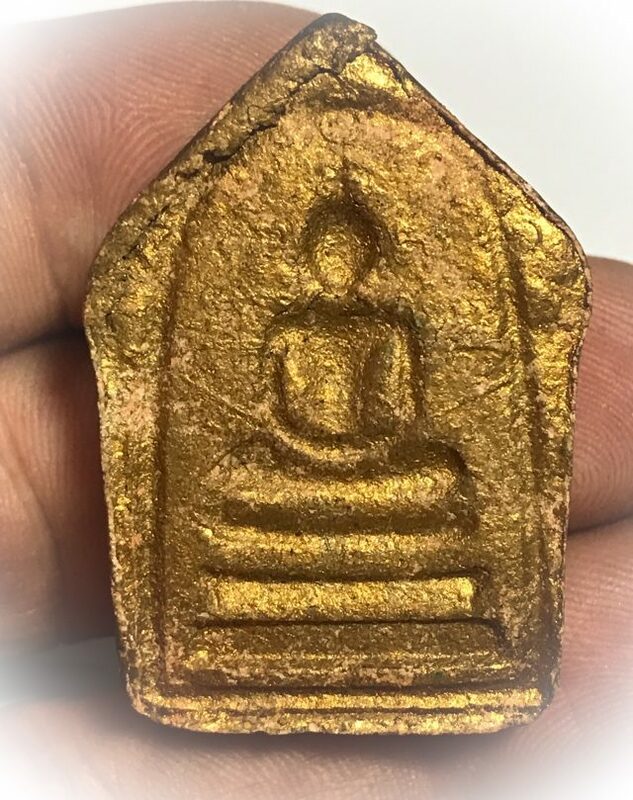 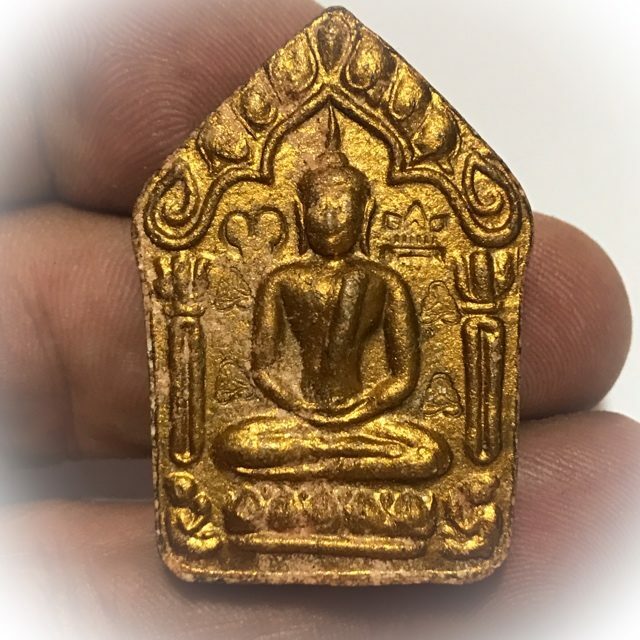 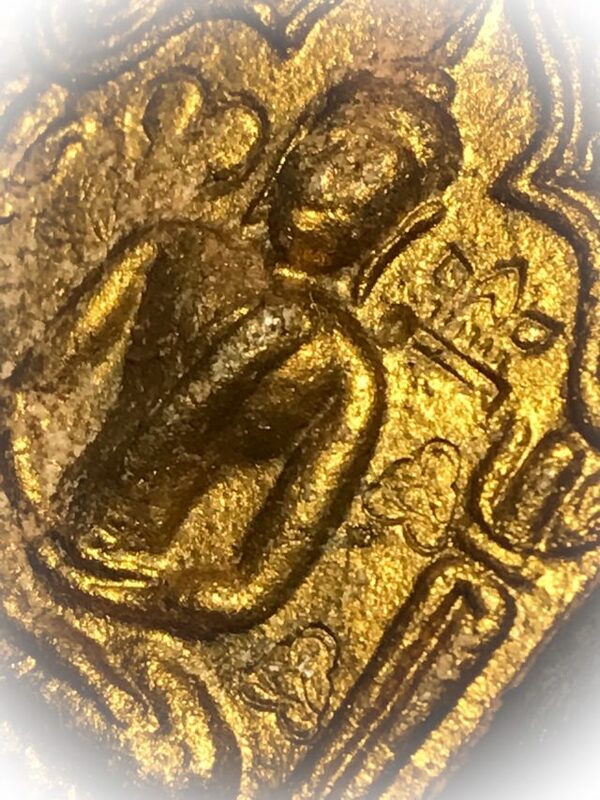 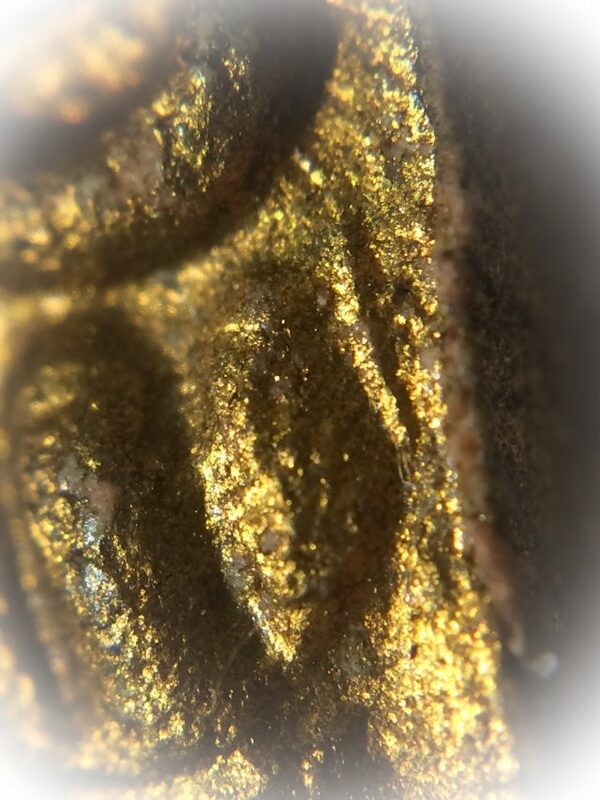 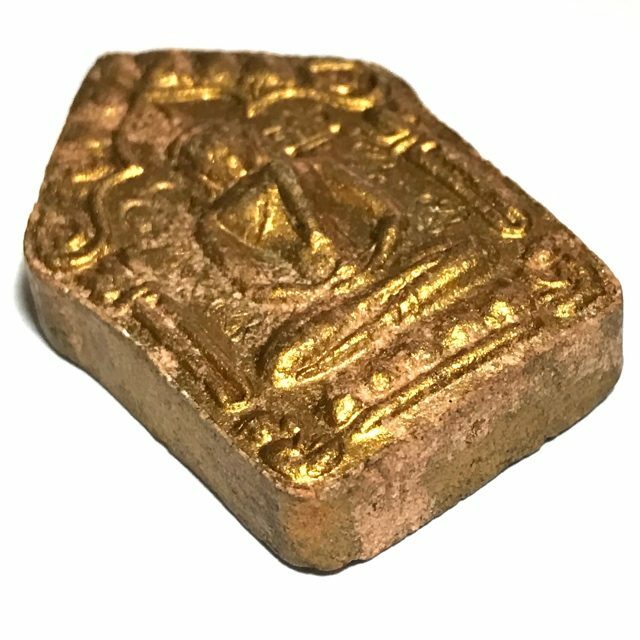 A true Pra Niyom amulet of Master Class, for devotees and aficionados of Luang Phu Hmun Tidtasīlo’s amulets, to treasure and wear with confidence of safety and good fortune. 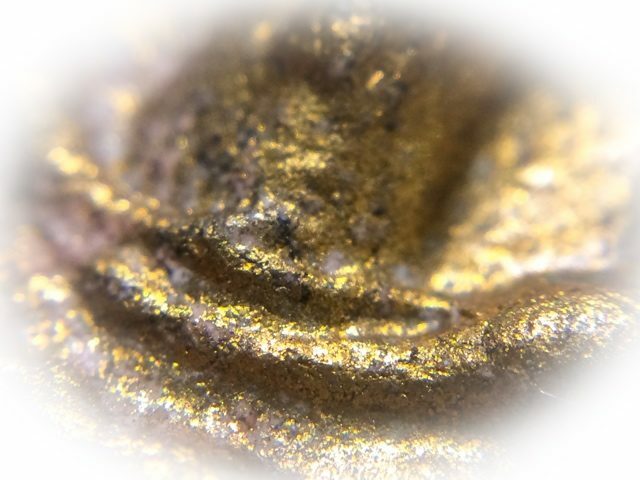 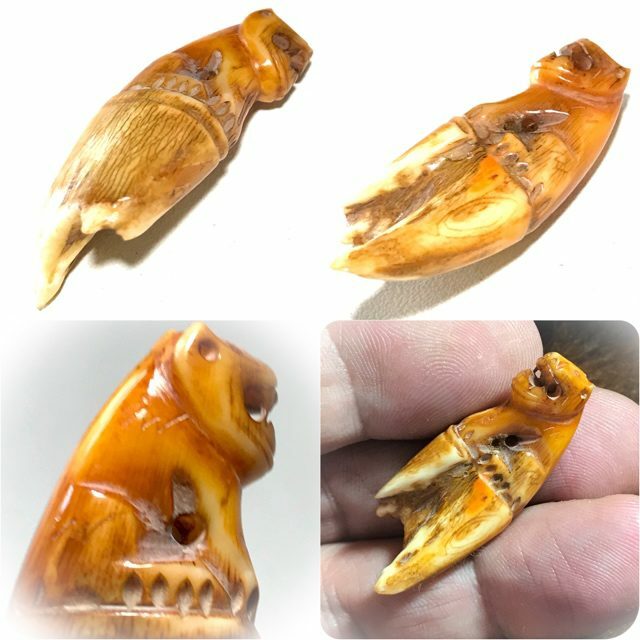 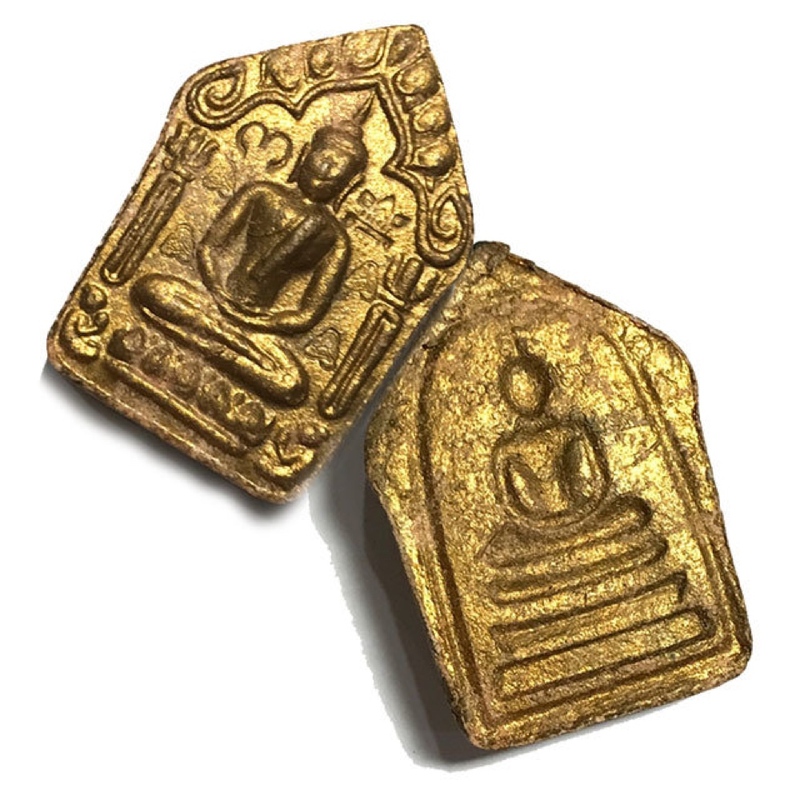 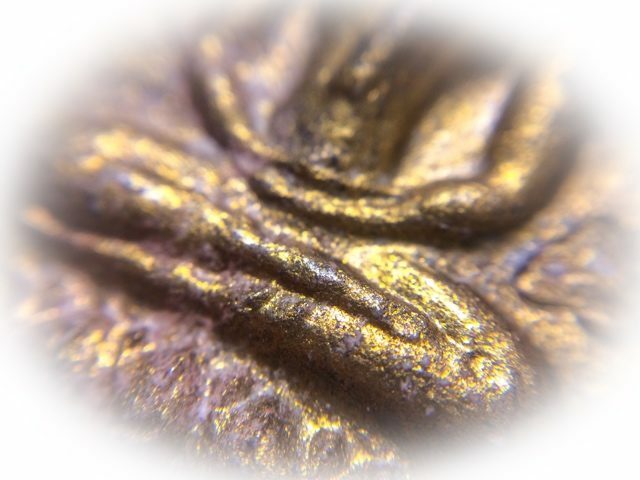 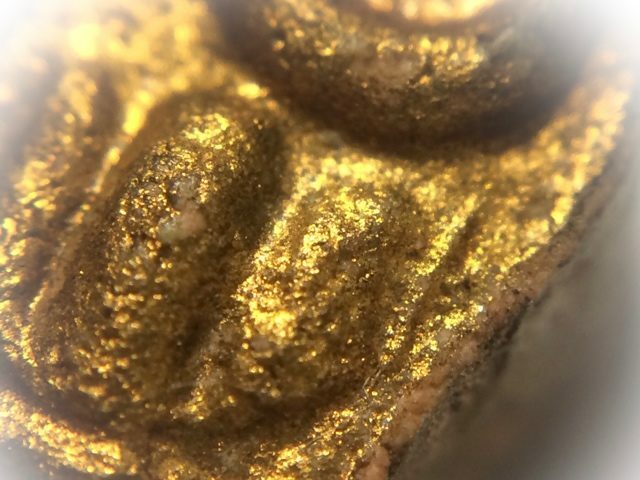 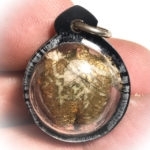 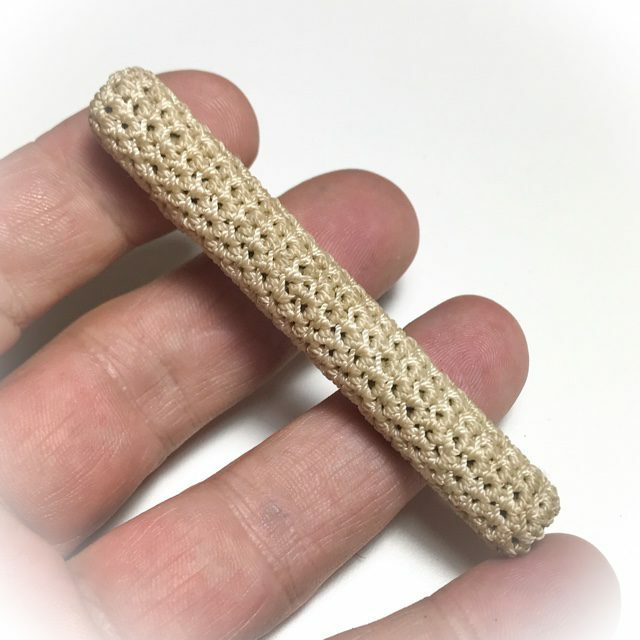 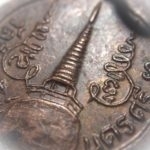 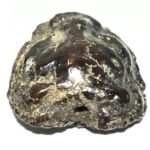 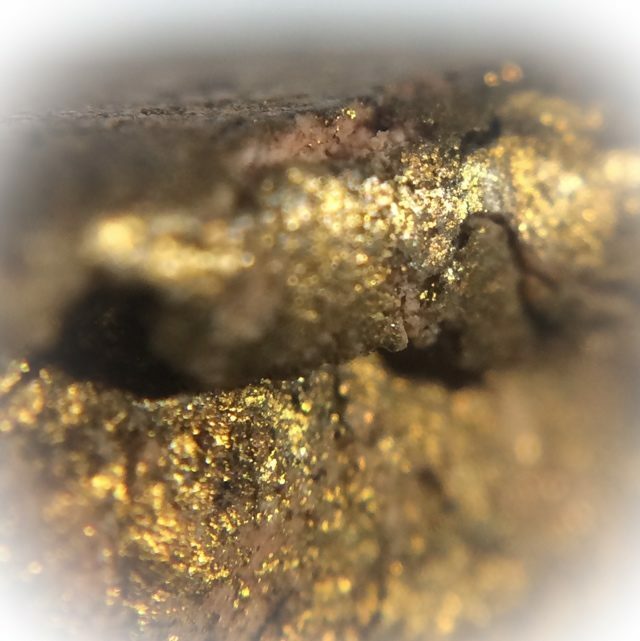 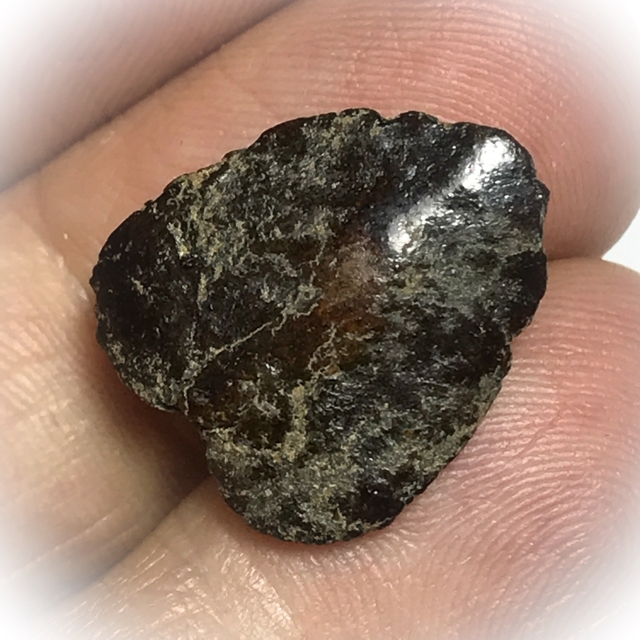 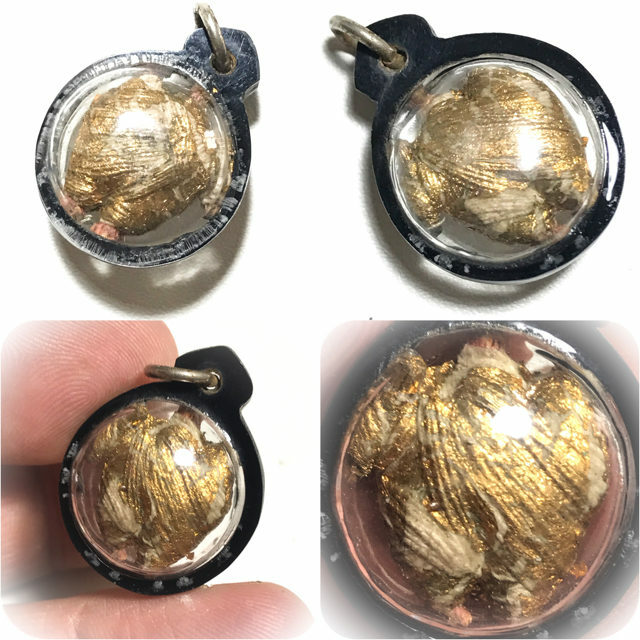 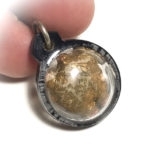 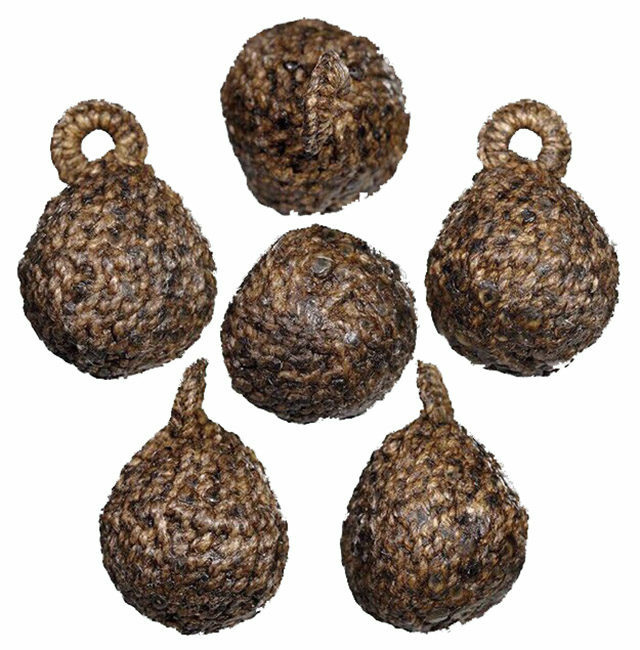 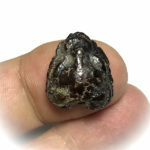 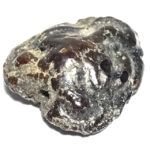 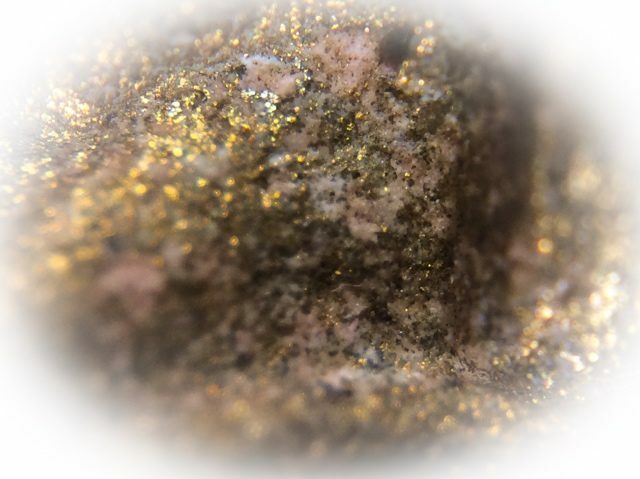 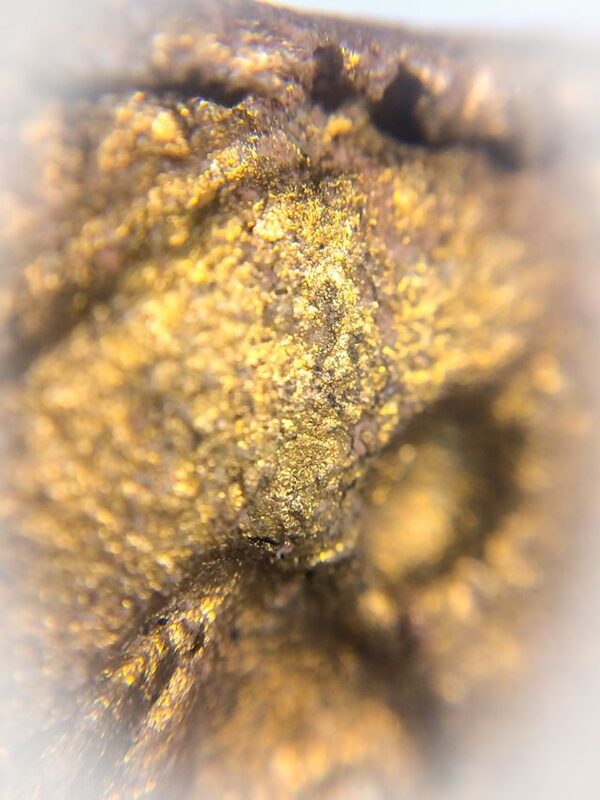 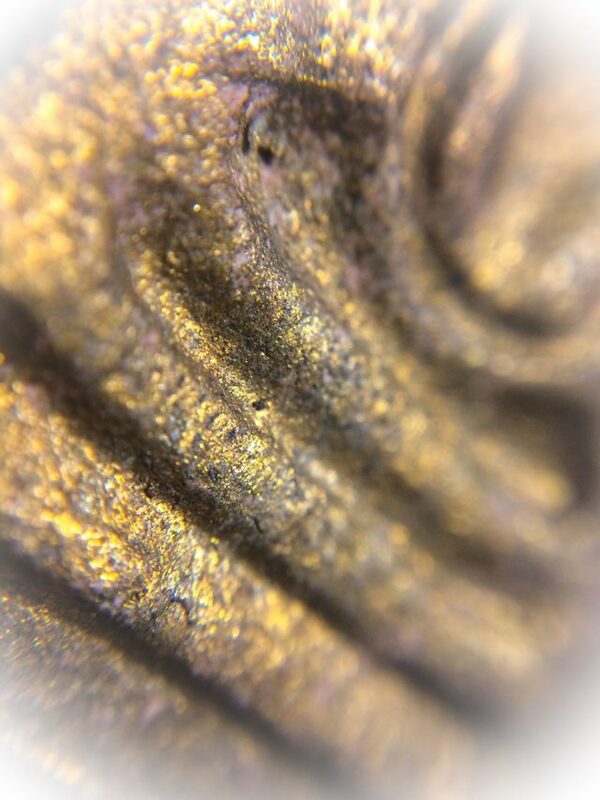 It is indeed amazing that some of the amulets, such as the Takrut Tone of Luang Phu Nai, are still so highly affordable, for their power, distinction and status increasing magic are accepted by devotees of the amulet scene for many decades. 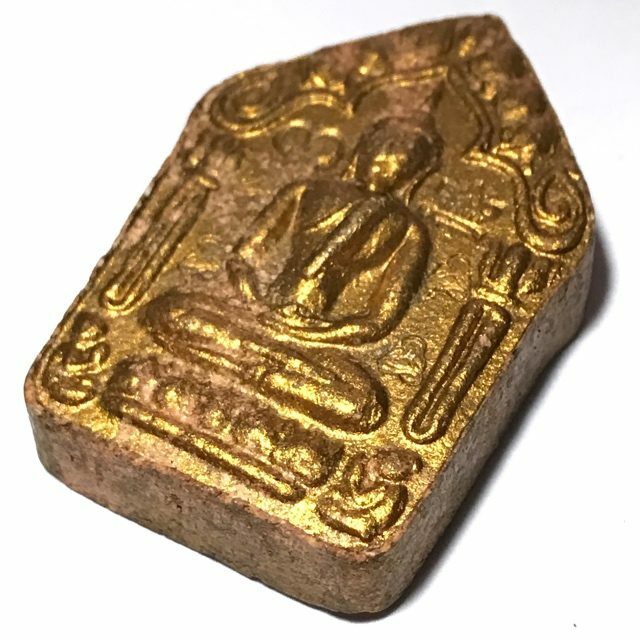 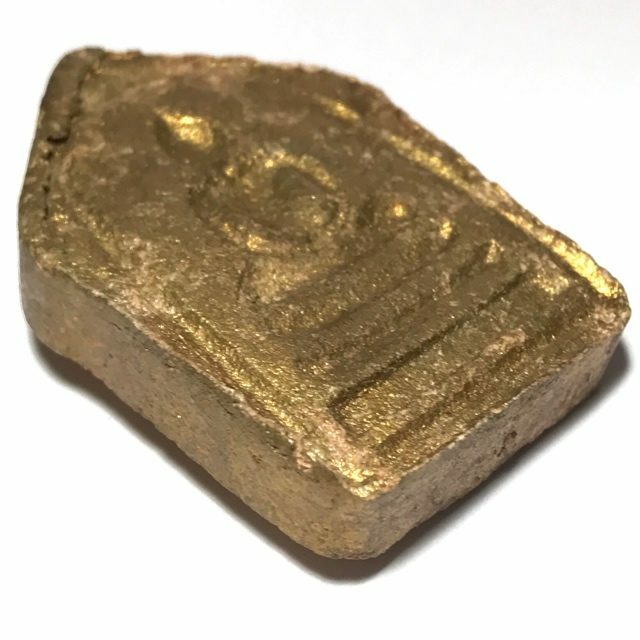 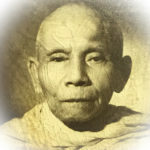 When compared to those of his peers, one could find oneself paying up to ten times the price for a powerful amulet of the calibre of the Takrut Tone Luang Phu Nai, who is seen as one of the most powerful Sak Yant Master Monks of his Era, and who was Kroo Ba Ajarn to many of todays most famous Ajarn Sak Yant. 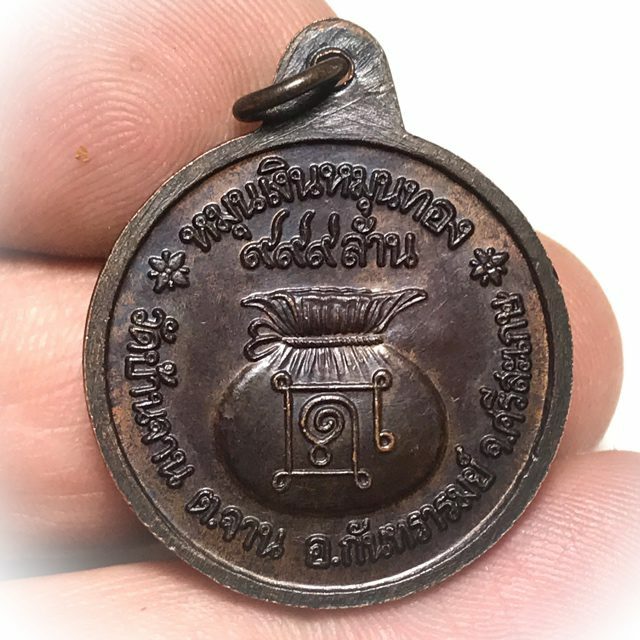 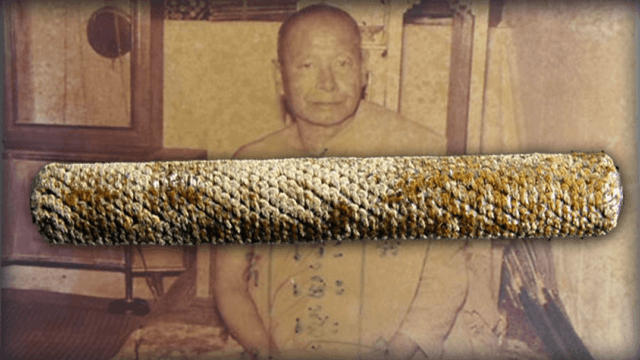 A Master whose Jing-Jok Talismanic Animist Gecko Charms are considered the number one Gecko amulet of all time by most aficionados, and one whose Wicha Sak Yant was, and remains to this day, Legendary for its Powerful Magick. 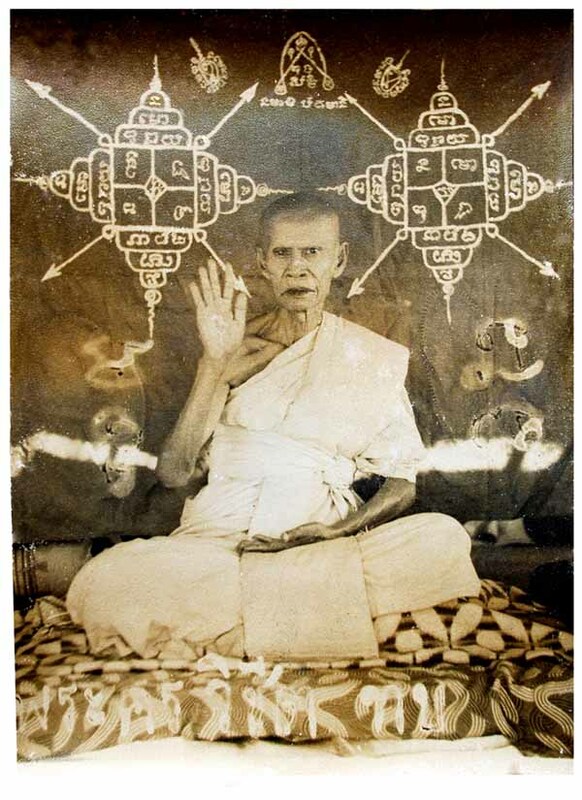 Luang Phu Nai was a very famous Sak Yant Tattoo Master of Ayuttaya, whose Wicha Jing-Jok Gecko Magic was known to be the most powerful of any Sorceror-Monk of his Time. 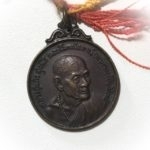 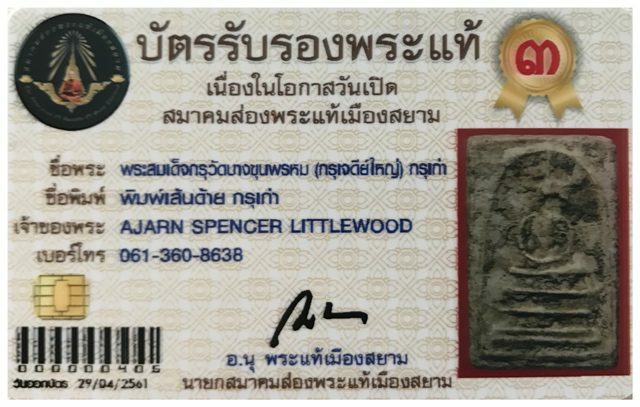 His Jing Jok amulets are the most nationally and internationally famous Gecko amulet of all the Pantheon of Thai Classic Pra Niyom in HIstory to Date, belonging to the ‘Krueang Rang’ (Talismans and Charms) Category of High End Masterpieces. 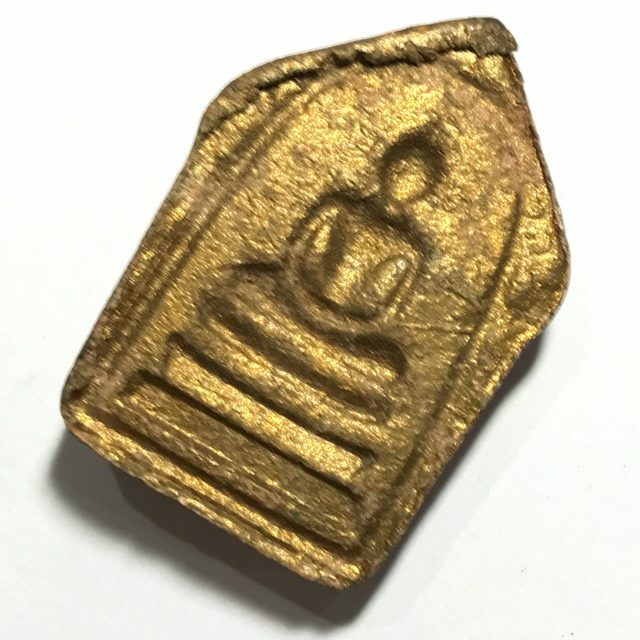 Luang Phu Nai Made a large number of Krueang Rang Talismanic Charms, including this Pirod Khaen, as well as many forms of sacred Powder amulets, Monk Coins, Takrut, and of course the Jing Jok Gecko charms, made in many different substances, including Galabangha Dam (black coral), Mai Saksit(Sacred Tree woods), Nga Chang (Ivory), Khao Kwai (Horn) and Graduk Gae (bone). 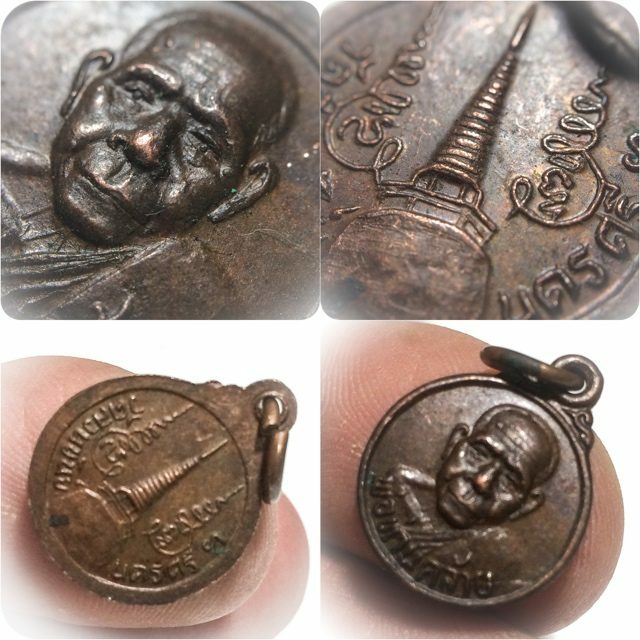 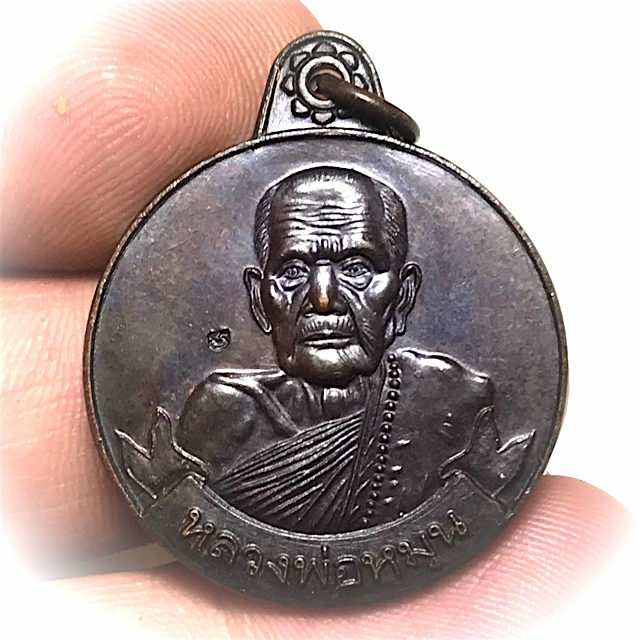 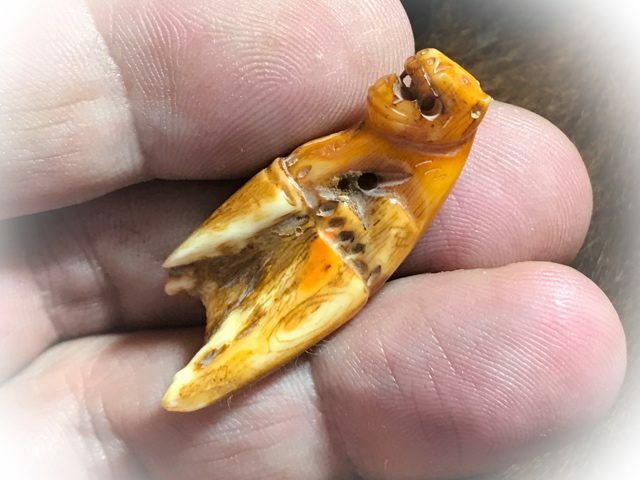 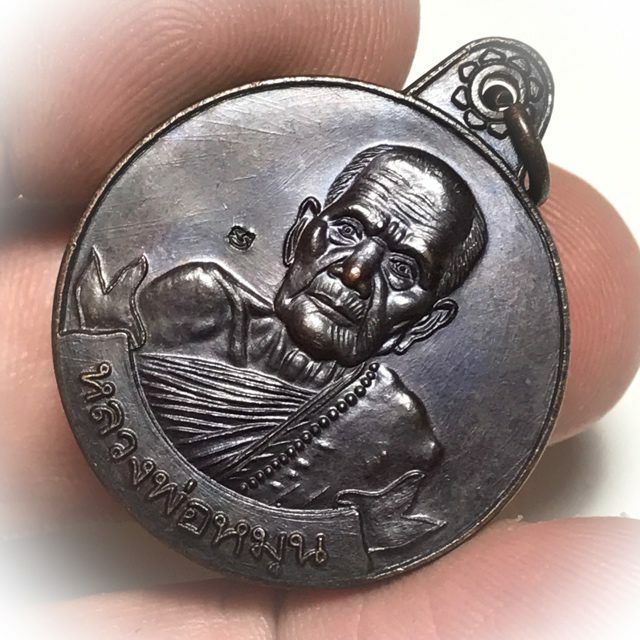 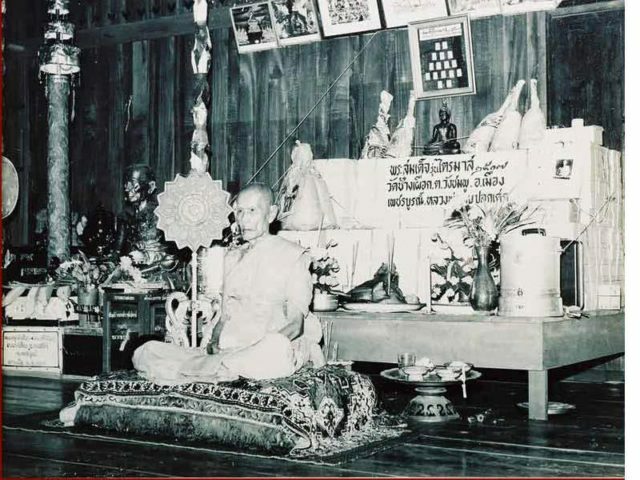 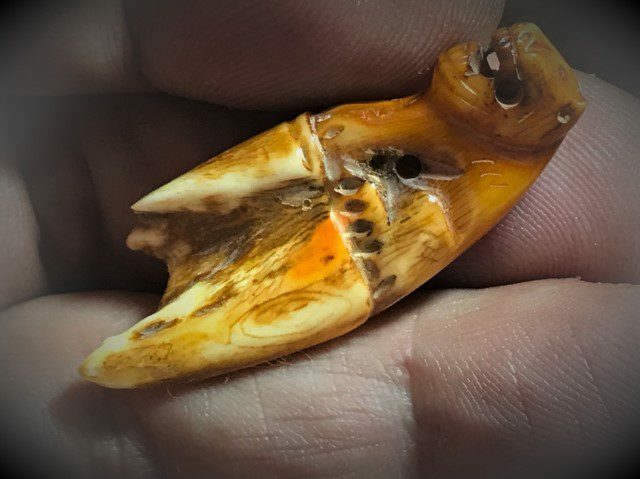 Luang Phu Nai was a previous generation olden days master of Sak Yant Thai Temple Tattoos, and a master amulet maker, especially renowned for his carved sacred gecko charms, as well as many other Amulets. 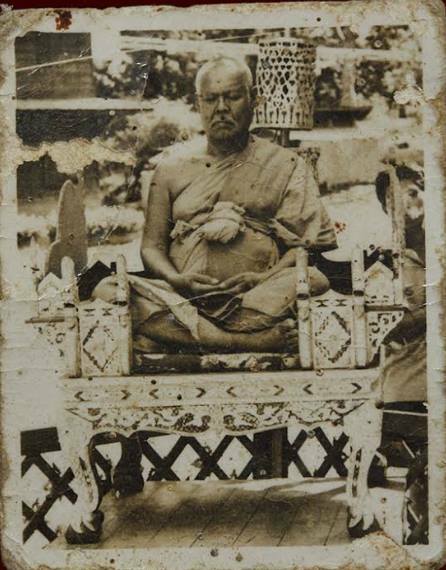 His life as a Buddhist Monk is highly documented, with many different authorships of his Biography and life’s works. 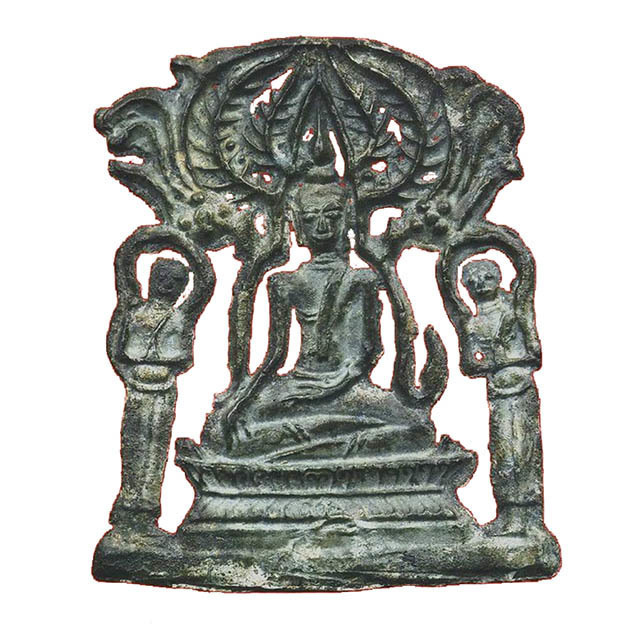 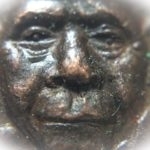 His amulets are equally documented and highly prized with collectors of this Genre of Masterpiece Amulet. 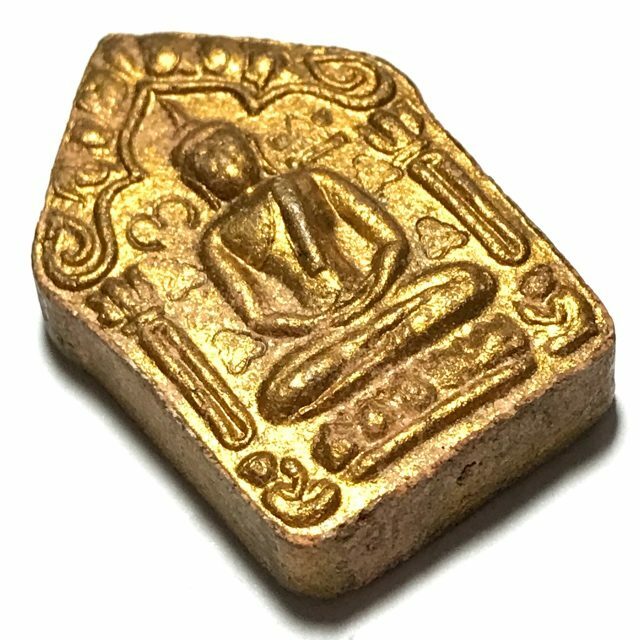 The Jing Jok Luang Phu Nai can be found in almost every high class Amulet Magazine, and Encyclopedic Work of importance ever published. 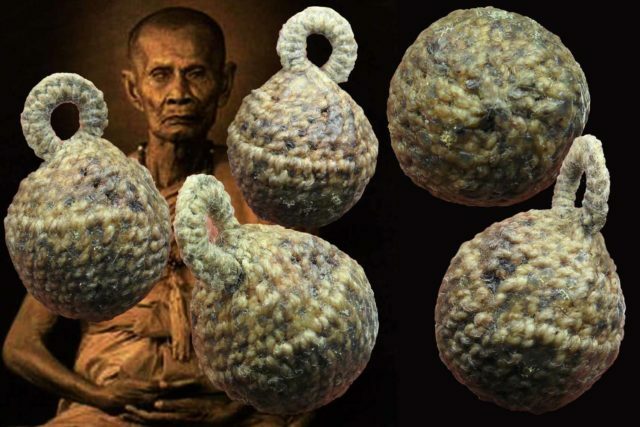 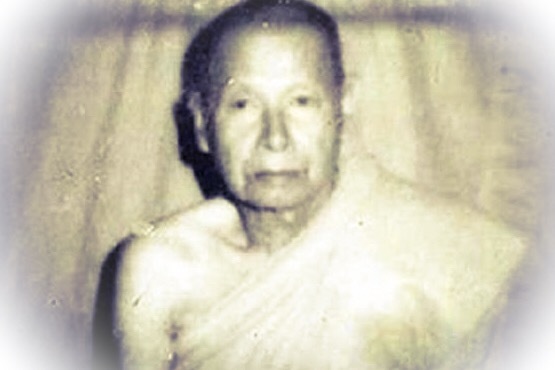 Apart from the famously powerful Gecko Charms from this Great Master Guru Monk, Luang Phu Nai has also great fame for his Takrut Tone and Takrut Maha Ud amulets, and his Pra Buddha Kotama (Pra Putta Kodom) and Pra Mokkhallā (Maugdalyana Arahant) amulets (both models in small and large versions) and his Metallic Monk Coin amulets. 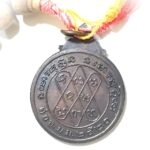 All enjoy a highly revered and top rankiing position in the Amulet Appreciation Societies. 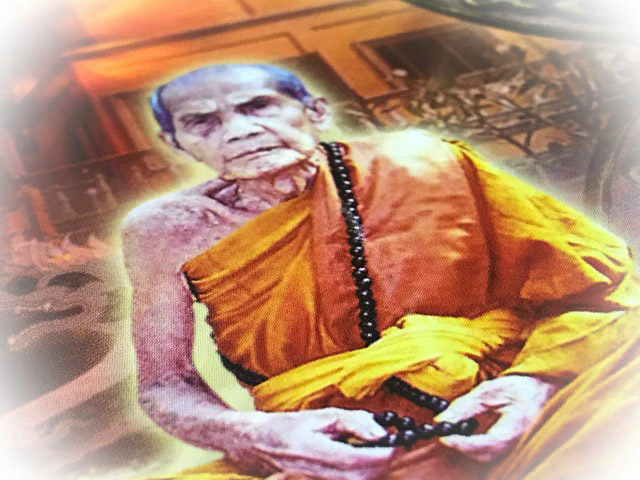 His Sak Yant Thai Temple Tattoos were and still are legendary, for their authentic Maha Ud, Kong Grapan Chadtri, and Klaew Klaad power. 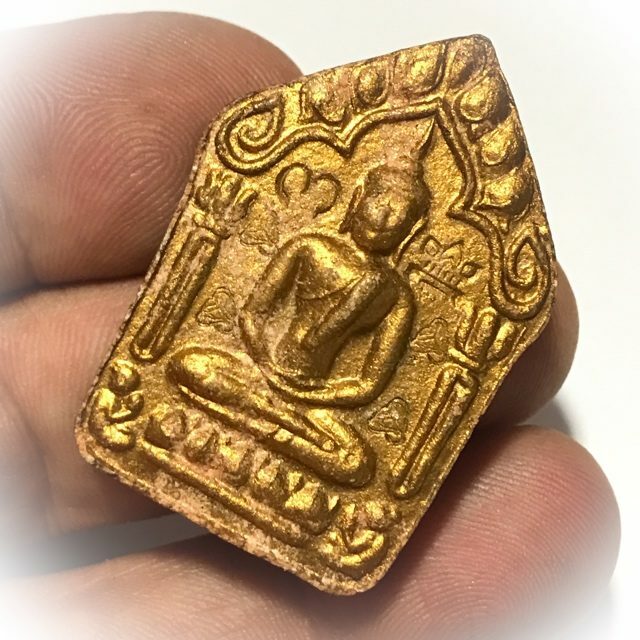 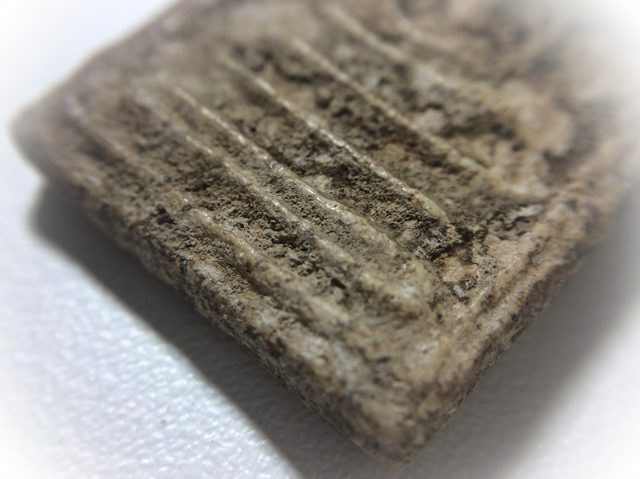 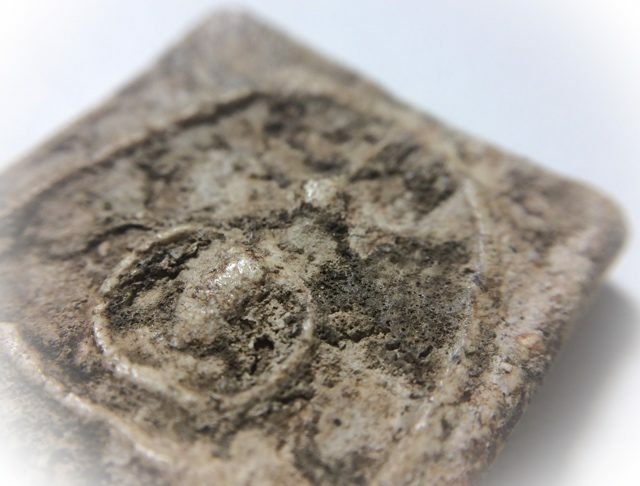 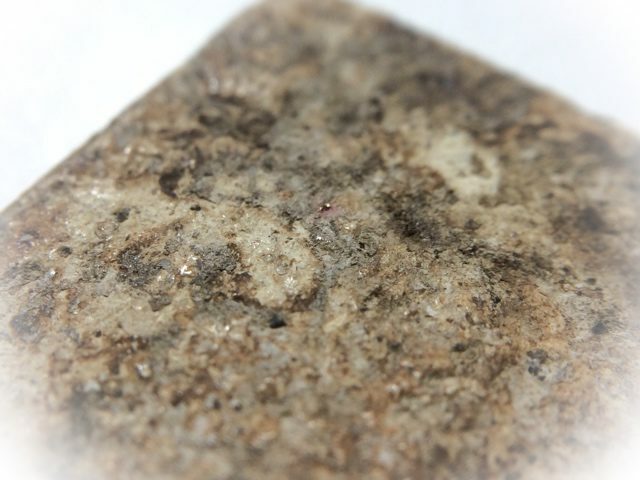 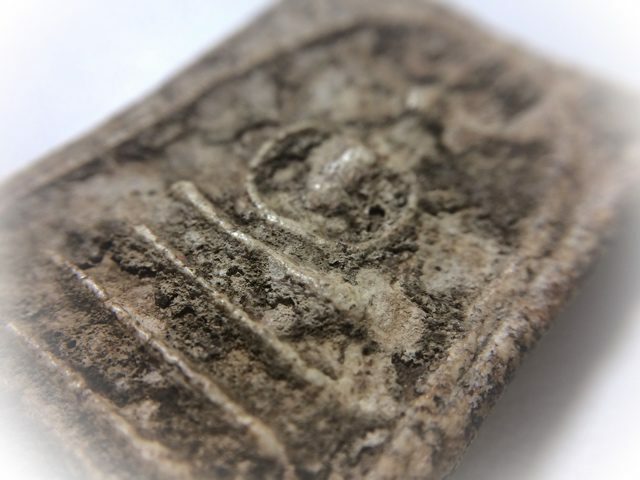 Presenting another rare featured Ancient Amulet, the Dtua Por Pan Pitsadarn ‘Wierd Letter P’ Wicha Luang Phu Taep Loke Udorn; The Dtua Por Pan Pitsadarn wierd letter P of Luang Phu Yen, of Wat Sra Bprian (2445 BE – 2539 BE), is empowered with the Wicha of Luang Phu Taep Loke Udorn. 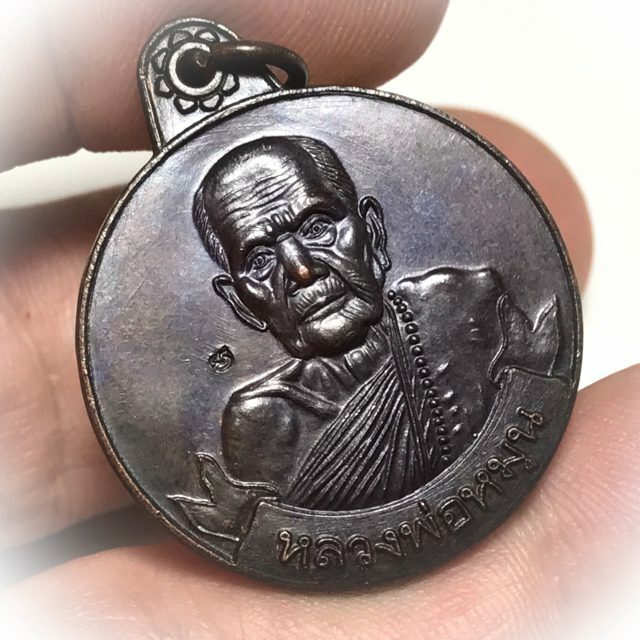 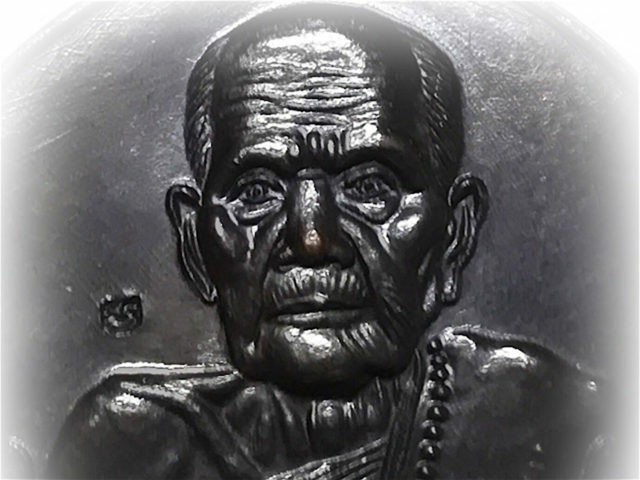 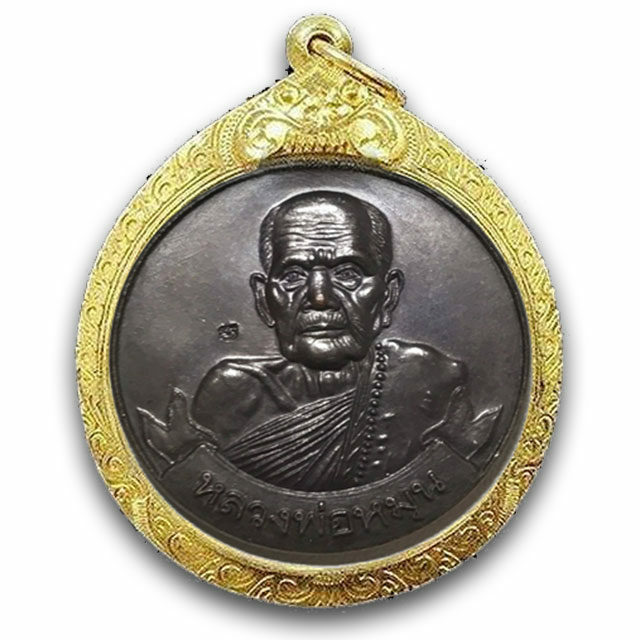 The Dtua Por Pan Pitsadarn is an Ancient Animist Talisman from one of the great Olden days Guru masters of the Chainat Province. 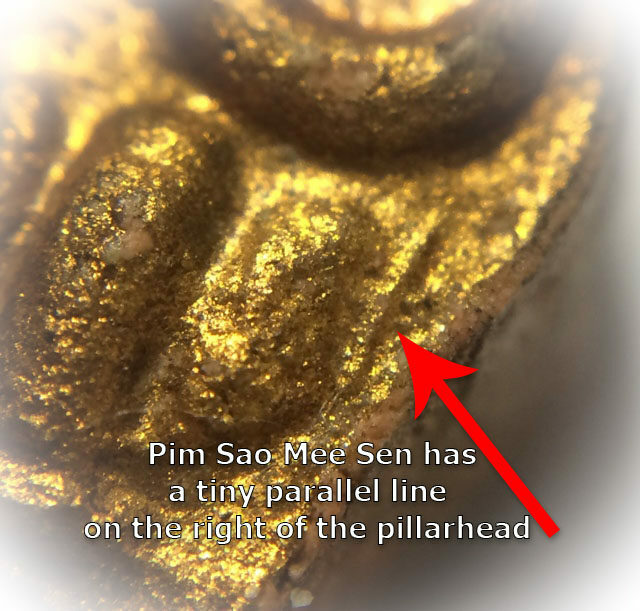 The Por Pan Pitsadarn of Luang Phu Yen is Inimitable, and an All Time Historical Classic, renowned for its Immense Puttakun Power. 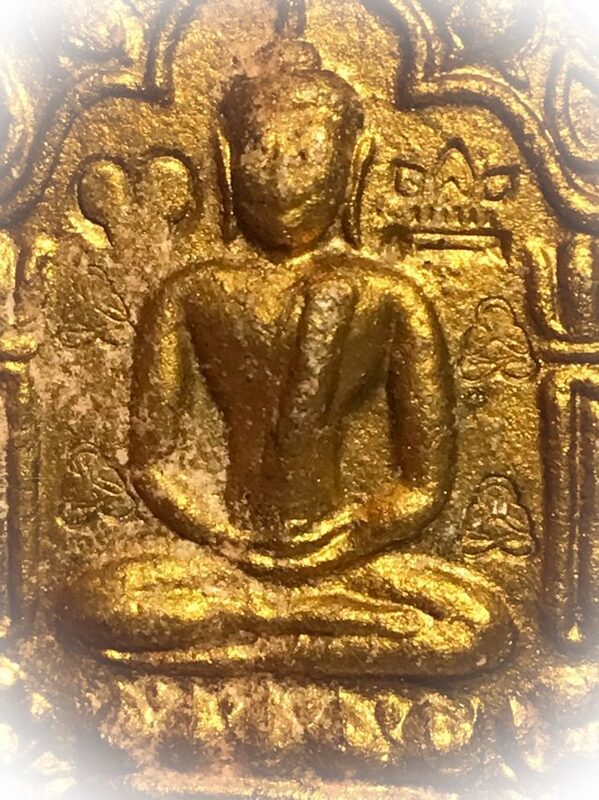 It is said, that Luang Phu Taep Loke Udorn gave the method of making this Spell to Luang Phu Yen, who then shared it with his friend Luang Phu Yai, who passed it then onwards to both of their Looksit respectively, on to reach the current Wicha Holder, Luang Por Tong.Luang Phu Yen was a very famous Master for his Powerful Hun Payont effigies, which he would make in the shape of a Thai letter ‘P’ (Por Pan). 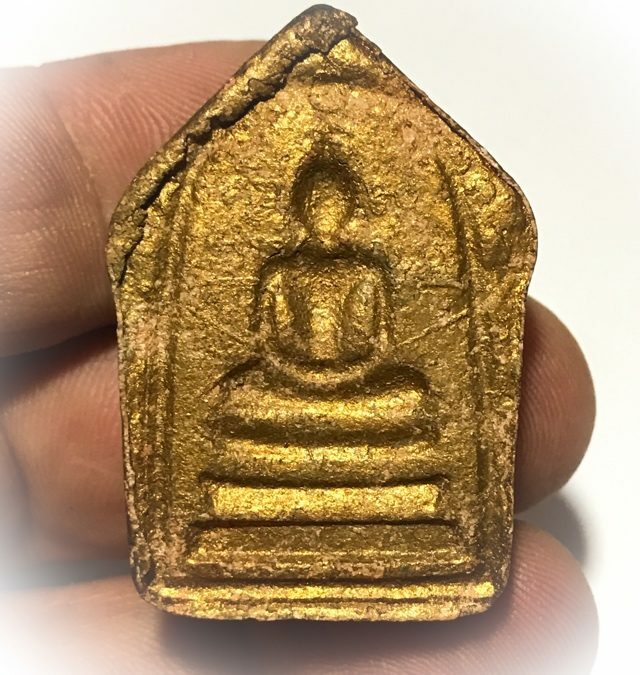 The Hun Payont Por Pan Pitsadarn is empowered with the Lineage blessings of Luang Phu Taep Loke Udorn and prayer to the Hun Payont Por Pan Pitsadarn will call the miracle powers of the Great Master down through the lineage and emanate from the amulet. 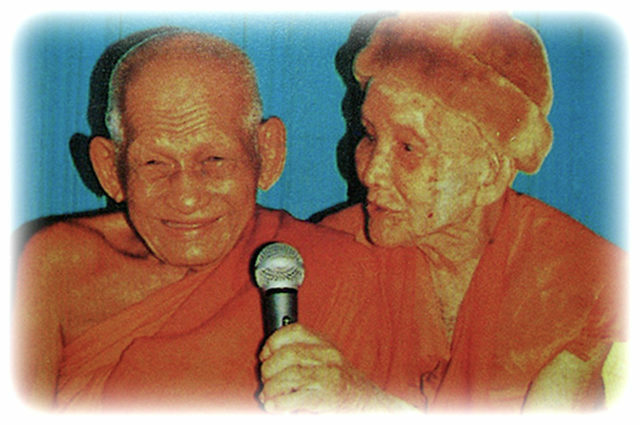 One should ask both Luang Phu Yen and Luang Phu Taep Loke Udorn for the blessings you wish when praying. 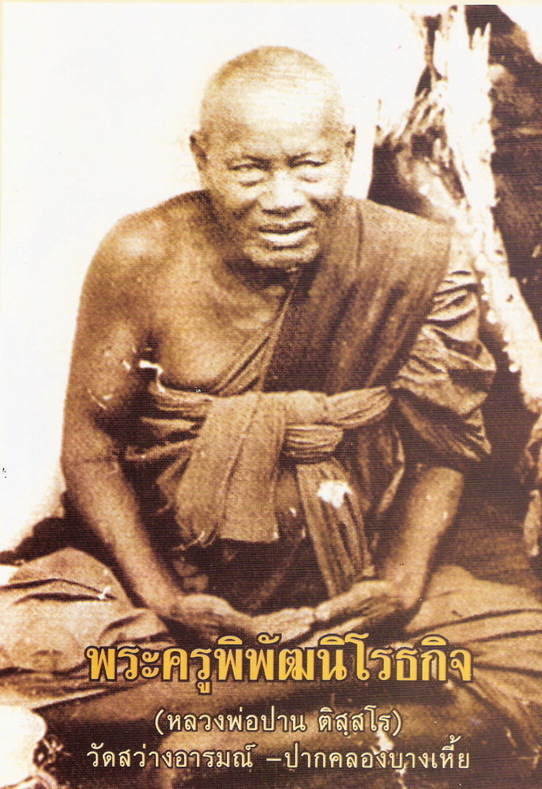 The Por Pan Pitsadarn is a type of Hun Payont Effigy of the ‘Say Bon’ veriety (higher path – sai lang and say bon are the lower and upper paths, meaning white, or black magic). 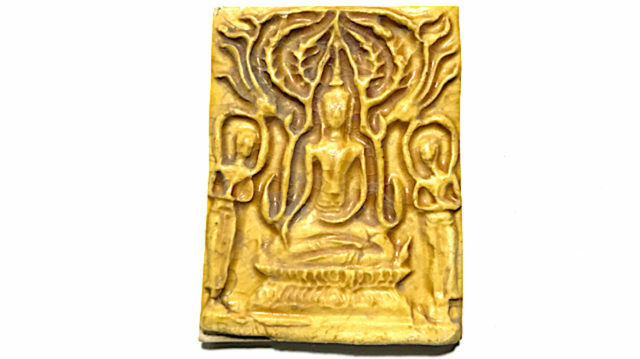 The meaning of the Por Pan effigy is ‘Triple Gem’ of Buddha, Dhamma and Sangha. 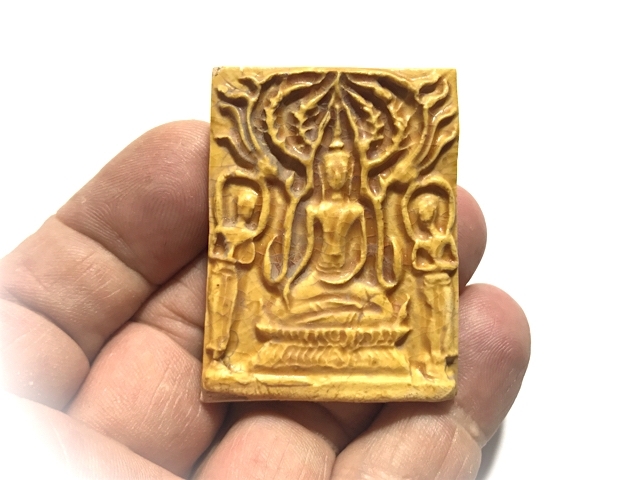 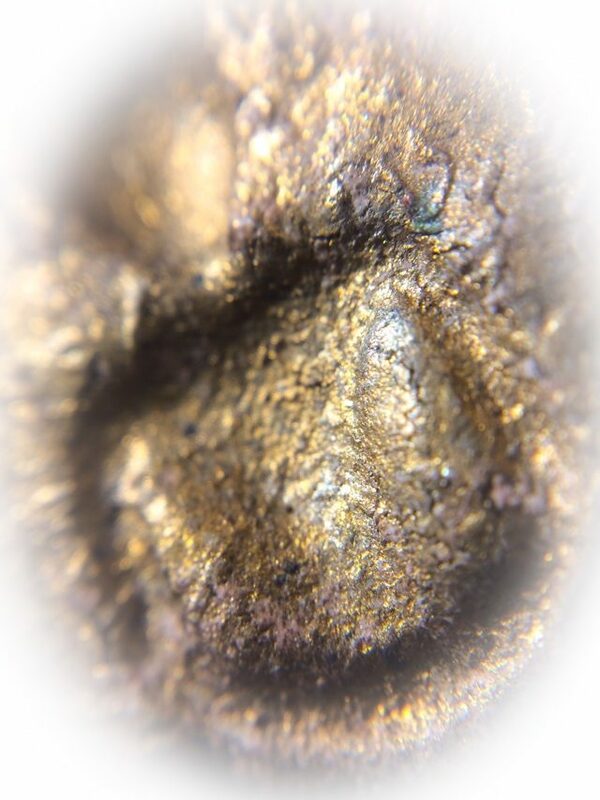 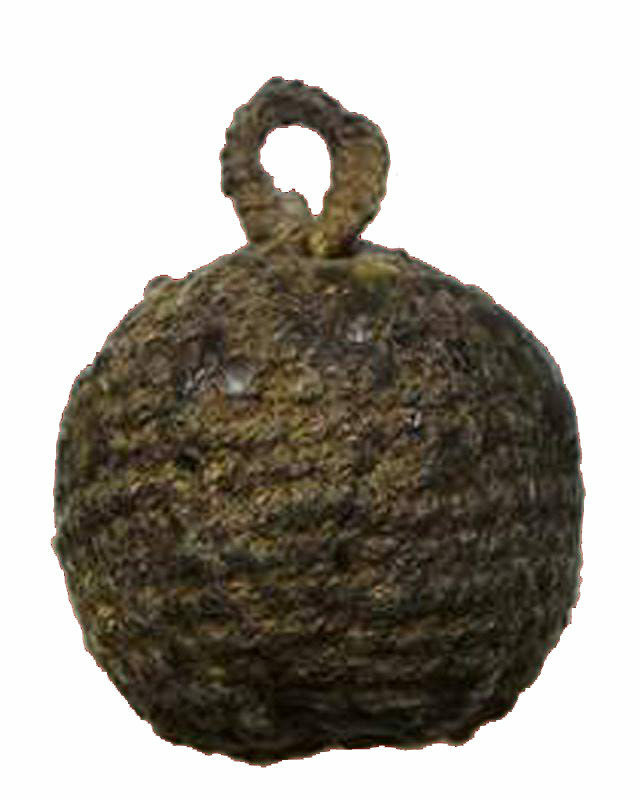 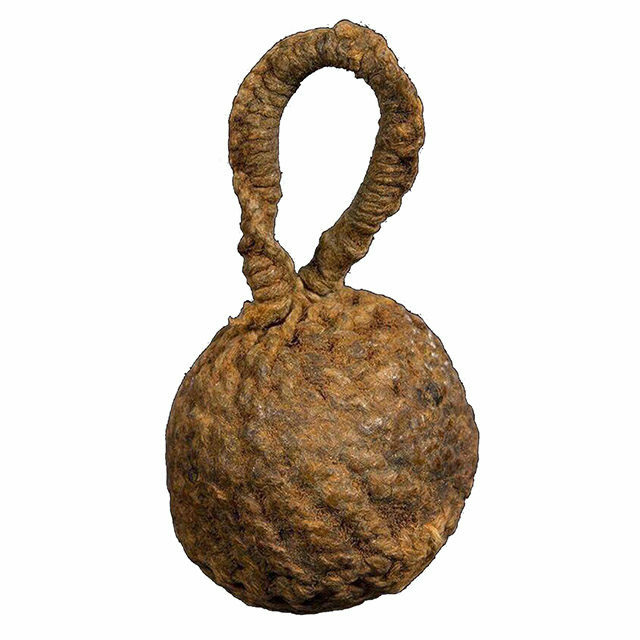 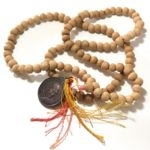 It is therefore not simply an Animist Charm, but is in fact a Buddhist Sacred Artifact of the New Era. 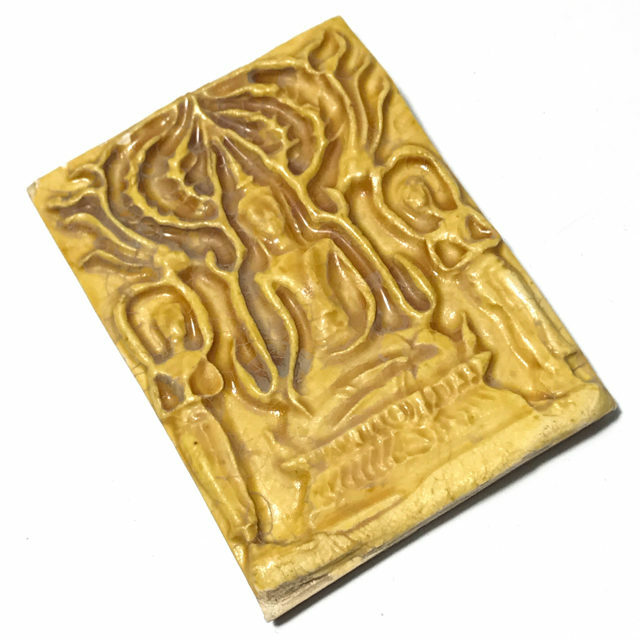 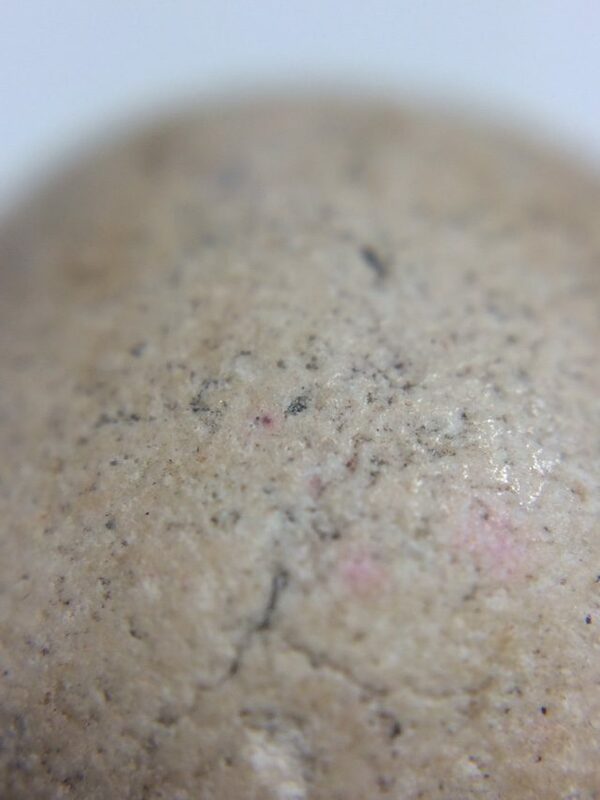 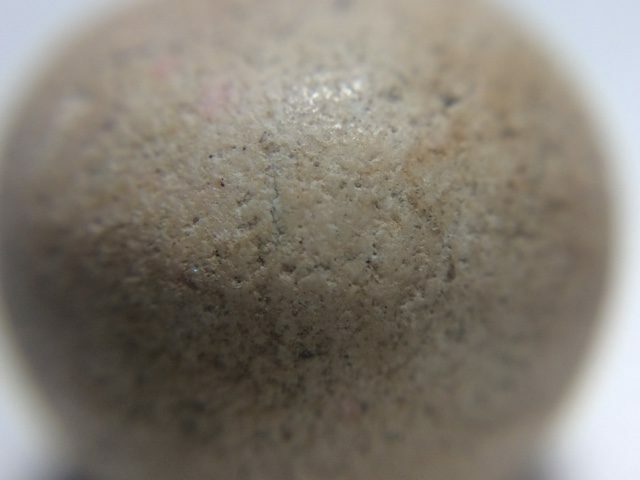 The Por Pan Pitsadarn emits Countless Magical Properties, including Klaew Klaad, Kong Grapan, Maha Lap, Metta Mahaniyom. 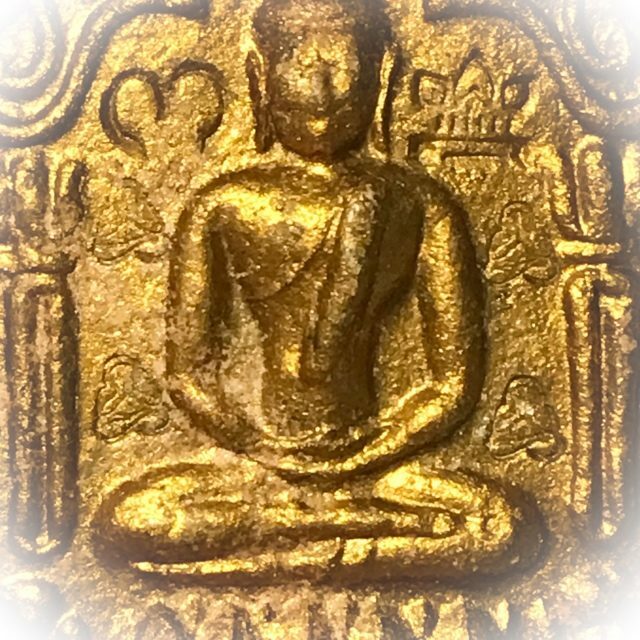 The letter P stands for ‘Por’ (father) and the great father of all Buddhists is of course the Lord Buddha.